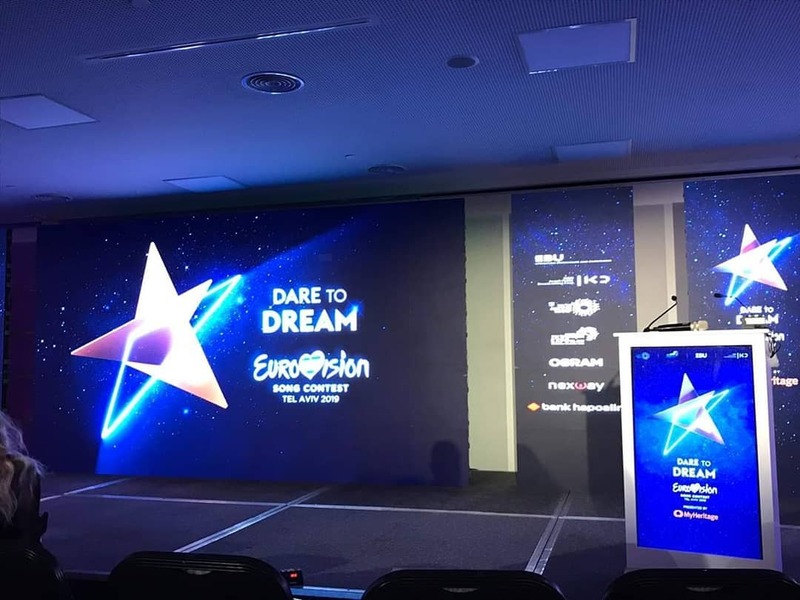 According to Israeli news portal Israel Hayom, Sivan Avrahami and Nadav Embon will be hosting the Eurovision 2019 press conferences. Sivan Avrahami, 34, is a well known TV personality in Israel. She participated in the 3rd season of the Israeli version of Big Brother. Sivan was a correspondent at Zinor Layla on Channel 10. She has also worked in several TV shows on Israeli television channel Reshet 13. She is a graduate in neuroscience, and works in this field today. Nadav Embon, 34, father of two, is one of the dominant persons in KAN Digital. He is a presenter, writer, chief director and head of creative department. KAN has decided to significantly reduce the number of free Eurovision invites to selected celebrities and officials, in total only 100 tickets have been provided for free, reports Keshet. Originally, it was supposed that 1000 tickets will be distributed for free, among those 120 to Knesset members, a benefit that was eventually taken out of them. Sponsors will also receive tickets according to the scope of their sponsorship: 10 tickets for the three live performances (two semis and finals) for sponsorship of NIS 400,000, four tickets for the three performances for sponsors of NIS 200-400 thousand. Sponsors of NIS 500,000 or more will be able to purchase additional tickets to the semifinal shows. Less than a month still around 400 tickets remain available for the Grand Final show Green Room and thousands of tickets for each of the semifinals. There are around 2,000 tickets available for the final dress rehearsals. Dana International will open the Eurovision Song Contest Final in Israel. She will do so with the song "Tel Aviv" (better known as "Tel Aviv, ya Habibi, Tel Aviv"), originally performed by Omer Adam, and with the huge "Diva", which won the Eurovision Song Contest 1998. The Eurovision final, which will take place at the Tel Aviv Expo on May 18, is expected to begin with the delegations' reception ceremony, in which the delegations will be seen descending from an airplane to the competition stage, according to informed sources. After the landing, the delegations will meet with Israel's national ambassador, Dana International, who will stand on a raised stage. It appears that she will open the event with a passage from the song "Tel Aviv, Ya Habibi, Tel Aviv," written and composed by Doron Medali alongside dozens of Israeli dancers. A well-informed source says that the song will be presented by her in what is defined as a "humorous wink about the Mediterranean genre." The song will then mixed with "Diva", written by Yoav Ginai and composed by Zvika Pick, for the first time in Oriental adaptation. Later in the evening, Dana is expected to appear in the show again, this time together with the British anchor Graham Norton. Dana will also appear in the semifinals. Philipp Kirkorov: "We will not reveal any details about Sergey’s stage performance today - our task is to surprise the public - therefore you will see it only on May 16." Ekaterina Orlova: "We hope that no one will unofficially leak the full video of the rehearsal, now it is not allowed to be published." Philipp Kirkorov: "The stage director of the number Fokas Evagelinos is already in Tel Aviv, as the stage set has already arrived there, he will watch the rehearsals of the stand-ins to ensure all works correctly. 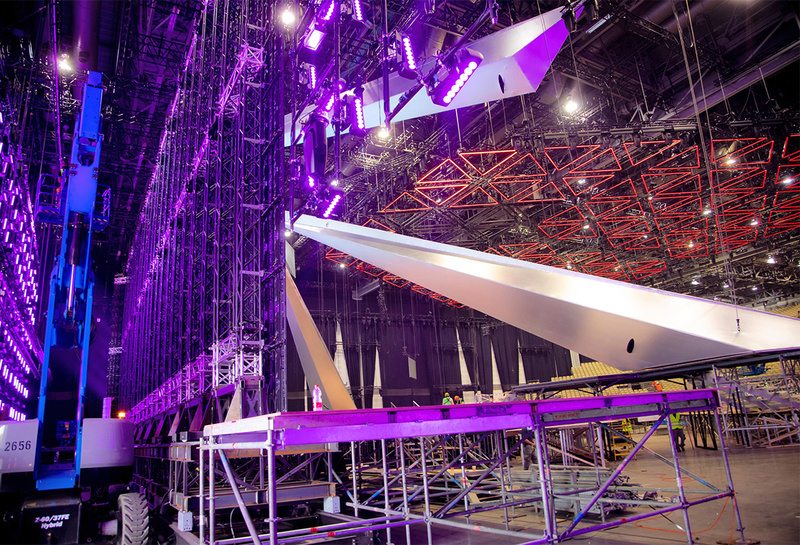 In Moscow there also is a similar stage set and rehearsals continue there. Unlike the second participation of Dima Bilan, when stars Evgeni Plushenko and Edwin Marton joined him - Sergey will perform on stage alone, but with a song that is fundamentally opposed to which he performed in 2016, then he was with a dynamic acrobatic number - this year everything will be completely different. The jury always doesn’t really like the show performance, they favor the vocalists, the musicians, and this year we will present a purely musical thing, we will present music - and let us now see how those musicians who do not like the show will vote." Philipp Kirkorov: "Gennady Gokhstein and I sat and listened to many potential songs for Eurovision during the long winter evenings. He is a very musical person with great taste and feeling in his heart. We sorted out a lot of serious material that we wrote together with Dimitris Kontopoulos - but it was Scream which hooked him even despite the fact that it is not superhit, not a schlager, not a dance music, then we argued for a long time who of us will show the future Scream to Sergey - as a result I did it. From the first listening his eyes lit up and we realized that he believed from the first minute and loved this song. " Sergey Lazarev: "When I do not believe, I do not do it. If I have confidence inside, only then I can achieve high results. I first heard a song in a demo without words, we understood that music itself gives an incredible message, large-scale emotions, it's such a soundtrack. " Philipp Kirkorov: "Many said that this is not Eurovision format, this is not a hit, but Lordi, who won - did they have a hit? The original song always wins, the unusual. It’s not necessary to be a hit, there may be were a couple of such songs in the Eurovision history. Interesting, unusual songs win." Sergey Lazarev: "When the lyrics were already written - we heard Scream, we understood this incredible emotional message, and this emotion will be in the stage performance, we want to convey the emotion through the screen to the viewer." Philipp Kirkorov: "Vocally to perform this song is torture for the singer. When we chose the tone, Sergey insisted that it should be as high as possible. But he will cope, judging by all the rehearsals." Sergey Lazarev: "I’m certainly risking, I feel an additional responsibility. But I wouldn’t have been me if I hadn’t accepted the offer. It’s better to do and regret than to regret that you didn’t. Our task is to present the country with the utmost worthiness so that the country will be proud and people will keep watching the performance". Sergey Lazarev: "Initially, I wanted to film my son Nikita as a boy in the video, but then I thought they would say it was speculation, plus he was still too young to withstand the shooting process - there were 20 hours of shooting. The video was unusual, but I don’t imagine other pictures and graphics for this song, which is unusual in itself. It was very important to do two completely different things: the video and the stage presentation - they are very different. But we needed to stress and not to spoil the song, to convey its emotion in the video. " Philipp Kirkorov: "Ekaterina Orlova is our guardian angel, the best head of the delegation with whom I have ever worked, I didn’t see such a desire to help, to solve seemingly unsolvable problems from anyone else." Ekaterina Orlova: "We are leaving for Tel Aviv on May 4th. Every day there are some events, rehearsals, press conferences, Sergey has all his spare time scheduled for interviews with the various press, he will also definitely perform in the Euroclub. Philipp and Sergey, by the way, will live in the same hotel as Madonna - Philipp, even on the same floor with her. " Sergey Lazarev: "Madonna understands that she needs to promote the album and Eurovision is the most watched TV show in Europe. I think that it’s absolutely not about money, but about the fact that this is a big audience, a big platform." As earlier announced, the EUROCLUB will be located in the heart of the Tel-Aviv Port by the beach at Hangar 11, the biggest club and multi-purpose venue in Israel. Hangar 11 is located just 2.5 km. from the contest venue, and conveniently sits between the venue and all of the beach hotels. The two sites are adjacent to the same road and are connected by the Hayarkon Park. The EUROCLUB events are spread over 8 nights from May 11th until 18th, and will include special theme parties, surprising live shows, screenings of the Semi-Finals and Grand Final and more. Every night, local DJs and DJs from all over Europe will be playing legendary Eurovision music. Eurovision winners and well-known Eurovision artists from Europe and Israel will be performing live; special surprises will be filling the club with Eurovision atmosphere, to include bars, food trucks and many more. On May 11th, the EUROCLUB will be hosting the Official Nordic Party, including a DJ that will play Scandinavian Eurovision music from all times, live shows of this year’s artists from Denmark, Estonia, Finland, Iceland, Norway, Sweden and others. On May 12th, the EUROCLUB will be hosting the Official After Party of the Orange Carpet. On May 18th, the EUROCLUB will be hosting the Official After Party of the 2019 Eurovision Song contest. A bracelet that allows free entry for all days of the EuroClub (8 days total) is offered as of today at a price of 600 NIS. 1000 bracelets for OGAE members available on a discounted early-bird price of 500 ILS. They can be purchased here. Head of Production of the Eurovision Song Contest 2019 Ola Melzig gave extensive interview to Israel Hayom. He promises grandiose show. The stage is going to be the coolest ever, multimedia and cameras work will be spectacular. "For us there is a very big advantage in the Arena at Pavilion 2. 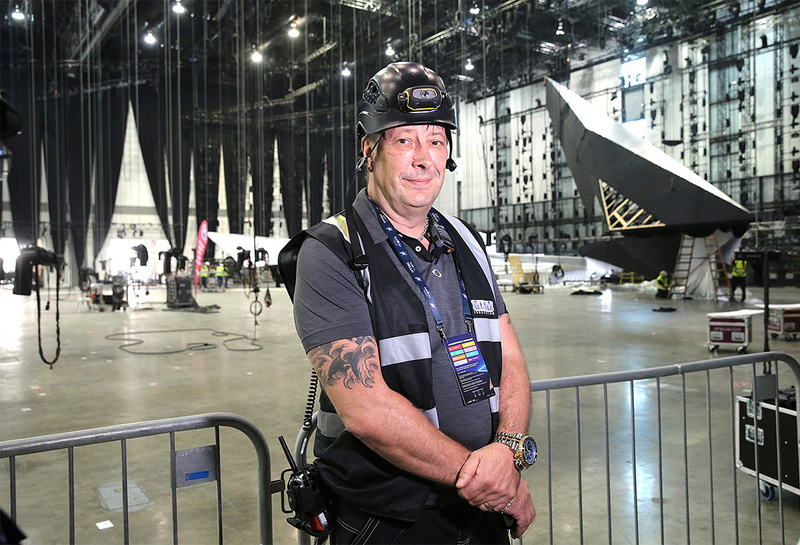 This is a small Arena compared to previous Eurovisions, and as far as we're concerned, at the production level, it's a huge advantage, because with all due respect to the thousands of viewers who arrive to watch show in the venue, we first of all think about the TV screen. When the venue is smaller, it's easier to control what you see on the TV screen, and there's a possibility to capture more things, and a large size Arena usually eventually leads to a less successful broadcast. The stage will look huge on the screen. If the television viewers will later come to Arena, they will be disappointed to discover that it is much smaller than what they saw on the screen, that is the magic of our profession"
He also praises choice of Tel Aviv as the host city: "It was an excellent decision. Tel Aviv is perfect for everything the Eurovision needs, it has style, colorful people, a beach and a relaxed atmosphere." "The local side always sets the tone, and it's absolutely clear: Israel is hosting the Eurovision Song Contest and spending a lot of money on it, so the Swedish team's goal is to bring the international experience and give assistance to the Israelis... When we leave, the knowledge will remain and the host country will ultimately benefit from hosting the competition itself. I have been to many countries in the world, and if there is something that is very strong among the Israelis, it's the hospitality, the Israelis are really good hosts and are really very caring for the whole our staff. For parties and events, it's wonderful. Israelis think they know how to manage everything, and every Israeli in the production wants to express his opinion, and I think that's charming, because the average Israeli comes with tremendous self-esteem, and I think it's very attractive. On the other hand, sometimes we find ourselves in the need to tell how it should be done. There is no doubt that sometimes things take more time, because there are so-called 'Israeli discussions.' I was witness to conversations between Israelis who went up to high tones, the people did not get angry, but they said things aggressively to each other, and then suddenly agreed, said 'yes, yes', and continued the discussion more gently. We are here to embrace local culture and to work with locals, under your conditions, so we will not tell you to be other than you are, because it will be strange to everyone, but we Swedes notice that Hebrew discussions will always be louder and more tense than in English"
Melzig is calm about the problems productions has faced. "We're building something very big and very complex that was not built before, so obviously there will be problems: once there was a strike, once a late ship. There are so many things that can happen in such a large and complex event, so we have built a very flexible organization, so if we are unable to meet certain tasks at a given moment, we will take up other tasks. 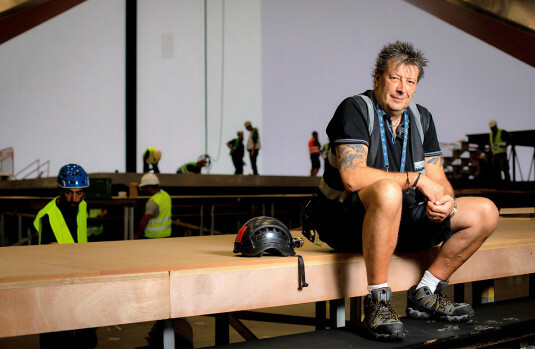 Now I'm not worried about anything, we're on schedule and I'm looking forward to the start of the rehearsals, to see the stage on the camera and see everything we've talked about coming to life"
Melzig promised the organization has learnt from last years' cases when some stranger was getting to the stage. "We have increased security, so this can not be repeated, and I can not even describe how serious are the efforts focused to prevent such thing from happening"
"I do not remember a single Eurovision Song Contest, in which we had not used, despite all the preparations, the dress rehearsal footage. There are always surprises, so in almost every Eurovision I can remember there were a few minutes like this, in which we actually have broadcast the tape. That happens when something is going wrong, because something happened with the camera, with the lighting, etc"
Speaking of the overall security in Tel Aviv he jokes: "The days for the production start early in the morning and end late at night, so the security situation does not bother us at all, and what bothers us is mainly the condition of our stomach at the end of every day". If there is a serious issue, it will be EBU dealing with it in the end. He firmly say he will never change anything because of negative reviews from fans in the social networks. "The networks have turned every Eurovision fan into a Eurovision production expert, but many of them see it all in black and white, hate or like it, and if they hate, they will be very noisy about it. I think it's irrelevant, and I would not change anything in the competition just because one fan or another did not like it. It's Israel's show and not theirs, so why should I care if a Norwegian fan does not like it? Do not get it wrong - the Eurovision has the most loyal fans in the world, and I love them, but when they start criticizing what we do, at the level of stage decisions, cameras or design - based on zero knowledge - I go crazy. Last year, for example, we decided there would be no video wall in the show, and fans were very rude about why we killed the wall. We wanted more focus on the artist, something not distracting attention, we asked ourselves if we needed all this video from behind, the flowers and nonsense, so we decided to go for a more relaxed appearance, with other values. As head of the production system, I always think about how to advance, how to make changes, changes are good in the long run, even if they look bad at the moment"
Last year, Melzig bet on Israel and won € 500. "I waited for Cyprus to pass Israel in the betting table a few days before the final, and only then did I put the money. This year I think Switzerland have a great chance, they have a good song and a great artist, so I bet on them big time." Walla reports that Madonna will appear with a hit from the past and a song from her new album and informed sources reveal first one will be "Like a Prayer", which last month marked thirty years since it's release. The song appeared on the fourth album of pop diva of the same name, and is considered one of the best and Madonna's career turning point, because that strengthened the perception as an artist and not just a pop star. It is not yet clear what Madonna's new song will be performed in the Eurovision Song Contest, out of her 14th album to be released in June to be called Madame X. Sources claim the singer is debating between performing the song "Future" (in the album it comes featuring American rapper Quavo) or "Dark Ballet". The latter debuted under the title of "A Beautiful Game" in a medley (which also included "Like A Prayer" performed at the Met Gala on May 8, 2018. It is almost certain that she will not perform the song she released on Wednesday, "Medellin", a duet with Colombian singer Maluma. The new album will be influenced by the spirit of Portuguese fado music. In addition to Maluma and Quavo, the singer will also collaborate with the Brazilian singer Anitta. German entrants S!sters have completed postcard shootings in Israel. To get to know the host country, they have also been exploring the country for a few days. They visited Yad Vashem, the Holocaust Memorial Museum in Jerusalem, explored Jaffa and tasted Israel's culinary diversity. As of today, the postcard shoot for Germany is over, with 18 degrees of cold water - in the Sea of ​​Galilee. 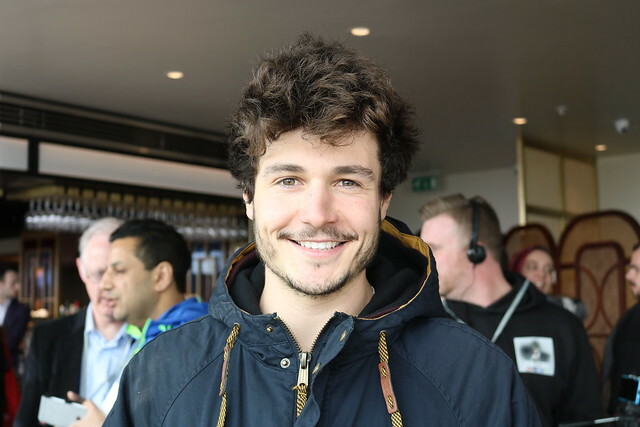 Christoph Pellander, Head of Delegation says: "I'm very fond of the Postcard shoot, and in my opinion Germany never got a nicer Postcard than this year." Just before the Eurovision final, the tourists who arrive in Israel will be able to experience a classic Kabbalat Shabbat. The Tel Aviv municipality calls on residents of Tel Aviv and the surrounding area to open their homes on Friday and to host the tourists who will come to watch the singing competition. The meals will take place on Friday, May 17, 2019, the evening before the Eurovision Song Contest. Registration will be done through the Eatwith platform. The participation of the tourists in the project entails a payment of NIS 50 (12 Euro) for a tourist, which is intended to ensure that they will indeed reach the resident's home. The payment will be transferred in full to the host. Each host house will be able to invite up to six tourists. The project, initiated by the municipality, aims to bring people closer together and connect thousands of tourists to Israel and the city's residents. The meals will expose the tourists to Israeli tradition as reflected in the various houses - each according to his customs and beliefs. The hosts will host and cook according to their taste, of course, but in order to create a sense of unity between the meals, the hosts will be asked to include challah dishes and wine - typical of Israeli Shabbat meals. 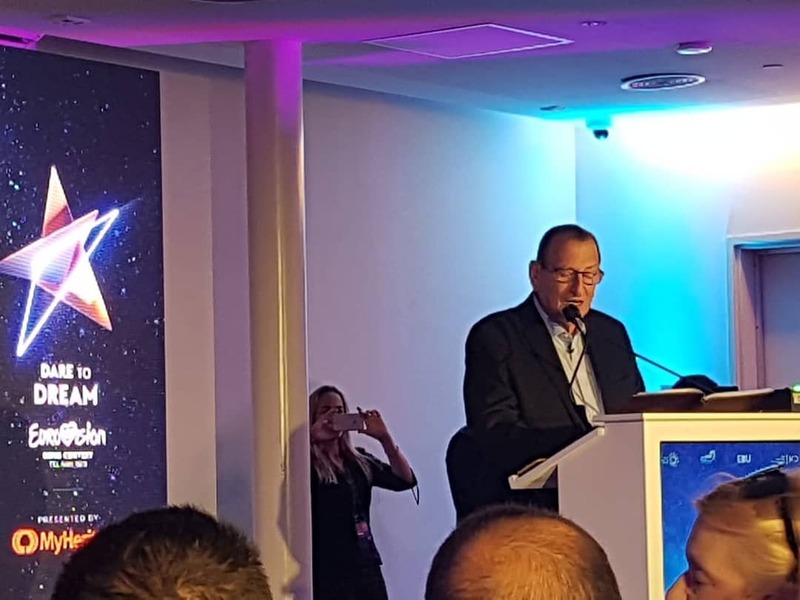 Ron Huldai, Mayor of Tel Aviv-Jaffa: "We are working hard to ensure that the Eurovision Song Contest will be of a quality and experiential nature, no less important to us, that our residents enjoy the tourist boom in the city. "The Kabbalat Shabbat initiative is one of the ways to connect the thousands of tourists to Tel Aviv families and expose them to the festive atmosphere of the eve of Shabbat in Israel"
Not only Mayor Huldai and his wife had enlisted in the project, but a number of celebrities have already registered to host tourists. Comedian and actor Zvika Hadar, Toy songwiter Doron Medalie, pianist Gil Shohat, actor Tal Moseri, journalist and TV personality Hila Korach and chef Chaim Cohen. Israeli Shabbat receptions: 2-6 tourists can be accommodated in private homes. Pride Kabbalat Shabbat: Members of the gay community will host tourists in their homes. Community Shabbat receptions: There will be several locations in the city, to which residents of the city and tourists who wish to take part in a local neighborhood dinner will be invited. For communal meals, each resident will cook a festive meal and the tourists will join in the festive and delicious atmosphere. On the Eurovision stage, Jonida Maliqi will perform with three backing vocalists Wendi Mancaku, Artemisa Mithi and Tiri Gjoci. Wendi has had success in the important Kënga Magjike festival, where she won Best New Artist. Artemisa has competed twice at the with E dua botën and the duet with Febi Shkurti – Dua ta besoj. She was a contestant on The Voice of Albania. Tiri has recorded two hit songs – Më zgjo and Orë e ndalur. He was a popular contestant on The Voice of Albania. Australian broadcaster SBS Eurovision has revealed details of it's planned coverage of the Eurovision Song Contest 2019. Kate Miller-Heidke will take to the stage in Semi Final 1 with her operatic pop song Zero Gravity. Kate Miller-Heidke said: "To be voted by the Australian public to represent the country at Eurovision is such an honour. It’s not a responsibility I take lightly. People have put their trust in me and I can’t wait to give it my all. I’ve always loved the more out-of-the-box performances and Zero Gravity will be just that. It’s a rousing, uplifting song about emerging from depression. For me, it was a feeling of absolute elation and the song ends in a really empowering place. It was written to be performed live and the staging is like nothing I’ve ever attempted." Music buff Myf Warhurst and comedian Joel Creasey will be at the helm of SBS’s Eurovision coverage, on the ground from Expo Tel Aviv in Israel, to bring Australians every angle of the contest as they explore the razzmatazz, kitsch, political voting, showbiz, cultural displays and heart of Eurovision – the artists and songs. 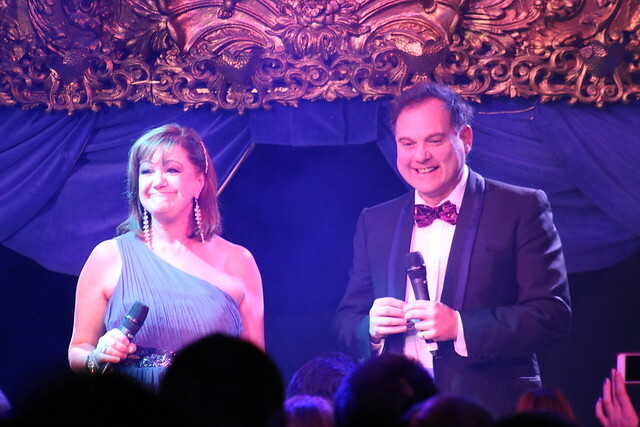 Myf Warhurst said: "Kate is a truly unique singer-songwriter and her performance of Zero Gravity at Eurovision – Australia Decides was out-of-the-box brilliant. She perfectly encapsulates Eurovision and I know fans worldwide will adore her as much as we do. While the competition is fierce, there’s nothing holding her down." Joel Creasey said: "We put the power in the hands of the Australian people this year and, thankfully, they didn’t stuff it up. Well done, you guys. Kate’s powerhouse vocals and spectacular staging are going to be incredible! I can’t wait to see Europe embrace our Kate... and I can’t wait to hold Madonna in a sweet embrace. Zero Gravity for the win." SBS Commissioning Editor Josh Martin said: "For Aussie election tragics, this is the biggest weekend of the decade. People can follow up their democracy sausages with a smorgasbord of Euro-themed catering whilst watching the largest music show on Earth. 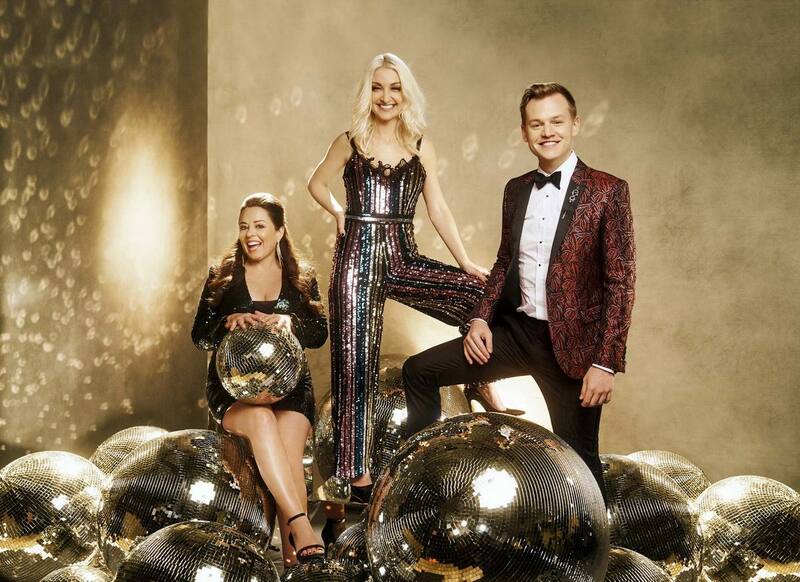 No matter who you’re voting for next month, all Australians can unite behind our very own Kate Miller-Heidke, which is ultimately what Eurovision is about: bringing people together." 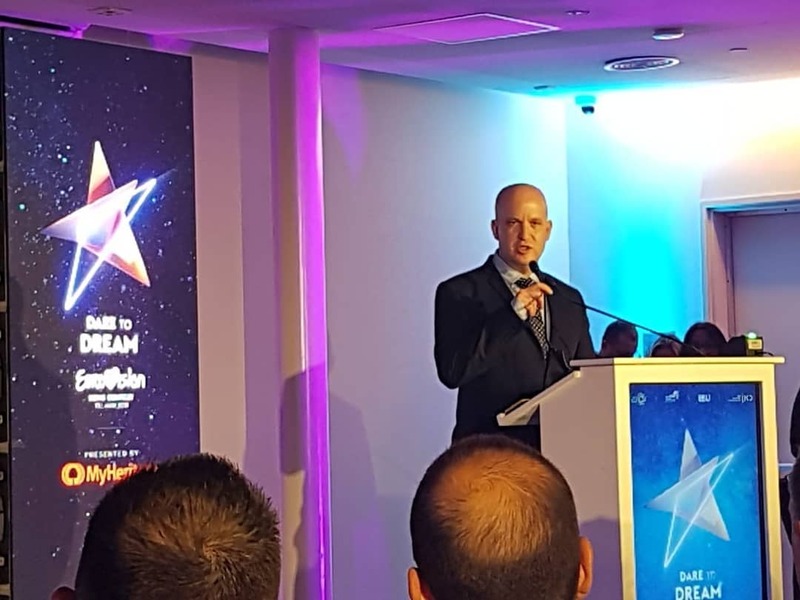 Director of Blink and Australian Head of Delegation and TV Paul Clarke said: "Eurovision 2019 is shaping up to be one of the great ones. We met with producers in Tel Aviv recently, and their ideas for the event will truly make it a global sensation. I can’t wait for fans to see the plans we saw come to fruition. We got the tick of approval for our staging concept with Kate Miller-Heidke and there are a couple of big surprises in store. It will be very different from the staging at Eurovision - Australia Decides. On the Expo Tel Aviv stage, Kate’s performance will be a truly epic evanescent enchantment. There are a lot of great artists and songs in Semi Final 1, but we totally intend to stand out." Iron Dome - the mobile all-weather air defense system deployed in Israel will be extended for the Eurovision Song Contest. Yesterday, unnamed Gaza activists have published a video in which it threatened to destroy the celebrations in Tel Aviv. The IDF has not taken any chances and has instructed that more large-scale Iron Dome missile batteries will be deployed in the center of the country to react on any attempts of the terrorist organizations in the Gaza Strip to disrupt the event. A video circulating in Palestinian media insinuated Gazans would attack Israel and the contest if the demands were not met. The video posted begins with images of Eurovision, and stated, "You are invited to the big event," written in in Hebrew and Arabic. "But…" As the music and video changed tones, the video warned, "Don’t celebrate and dance when there are two million Gazans suffering. If you want to celebrate, lift the siege and come to an agreement, don’t digress." 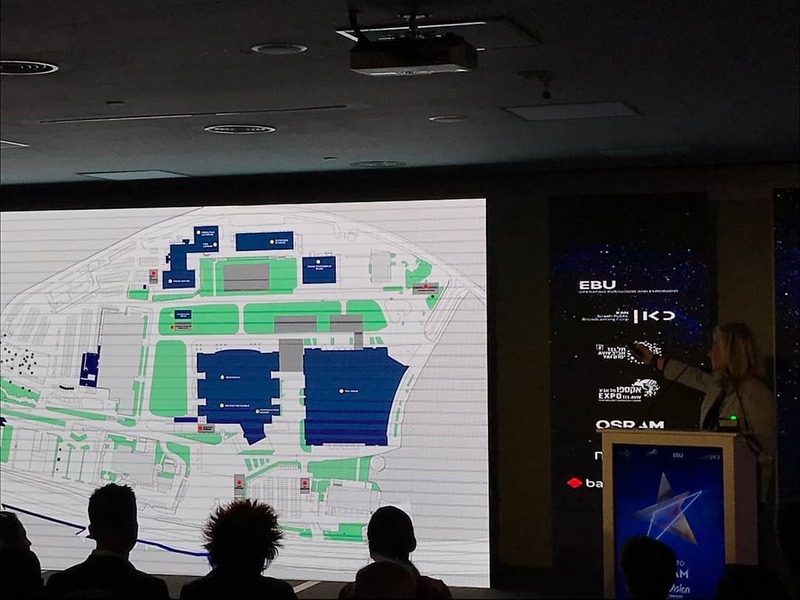 The video zooms out and showed the hypothetical Eurovision buildings from a satellite birds eye-view. With the targets locked, rocket sirens was alerted. A sound of an explosion can be heard as the words, "Implement the understanding so you can hold the festivities," come across the screen. Eurovision is set to coincide, with Nakba Day on 15 May, commemorating the displacement of Palestinians after the War of Independence. 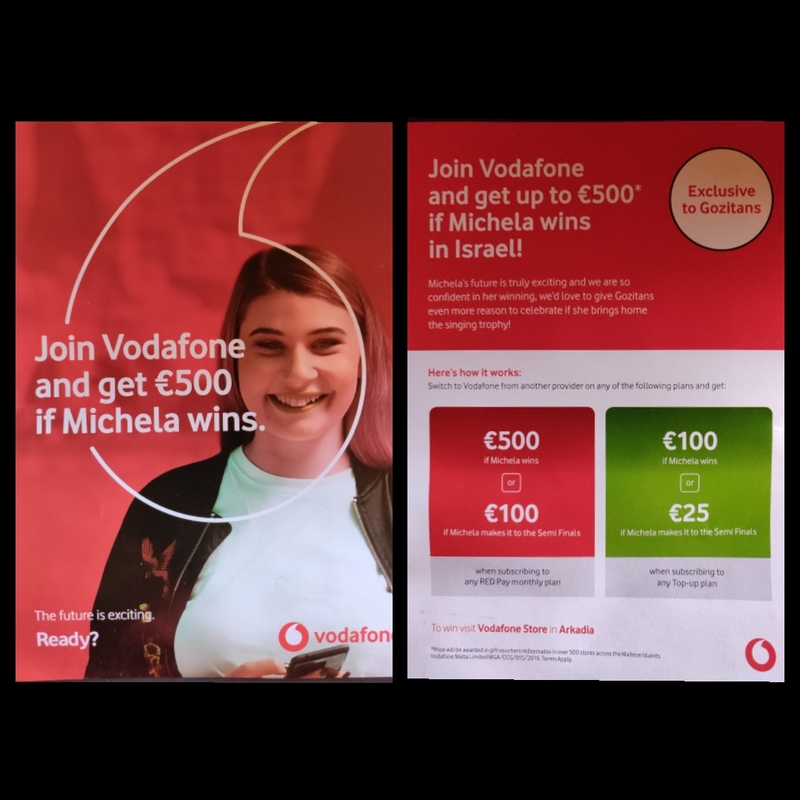 Vodafone Malta has announced a special offer for the citizen of the island of Gozo in honor of the participation of Michela Pace at the Eurovision 2019. New customers who connect or port-in to the mobile package of services from Vodafone from May 7 to 13, 2019, can receive up to 500 euros in gift vouchers. The prize is calculated as follows: for RED plans: 100 euros if Michela reaches the final of the contest, 500 euros if she wins the contest, for regular plans the prize will be 25 and 100 euros respectively. KAN has released a glimpse of the postcards. Jerusalem, Haifa, Eilat, Akko, Mitzpe Ramon and the host city Tel Aviv are among those featured in the postcards. You can see the walls of Jerusalem, the Sammy Ofer Stadium in Haifa, the Eilat hotels, the Tel Aviv Museum, the port of Akko, and a other spectacular places in Israel. The concept of postcards this year is "Dancing Israel". All the artists were required to practice dance steps and movements before coming to Israel. They had a few hours of training in the studio with Eurovision choreographers, among them Oz Morag. Herzliya will be the only city besides Tel Aviv to host official Eurovision delegations. 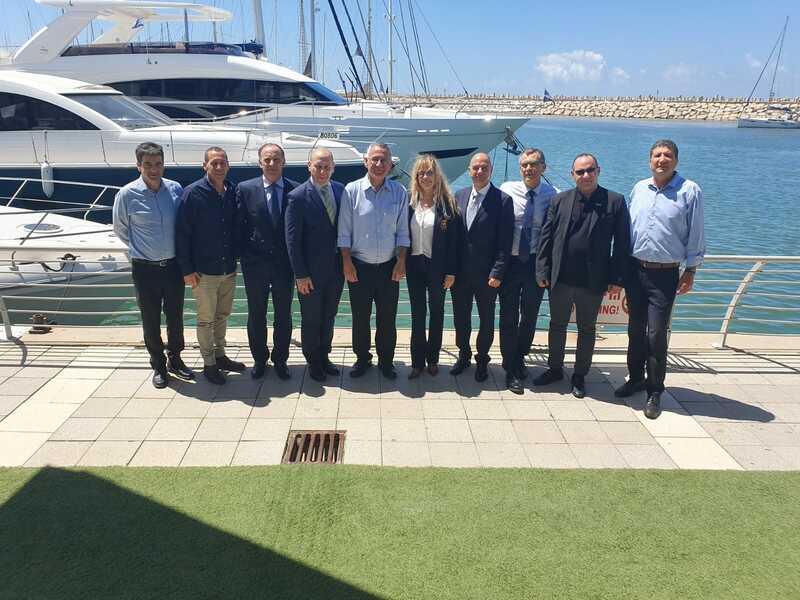 Municipality of Herzliya is working on the special event in honour of the delegations that will stay in the six official hotels in Herzliya. It is believed that thanks to this Herzliya, which is recognized as one of the leading tourist cities in Israel, will receive broad exposure both in the national media and in the foreign media. 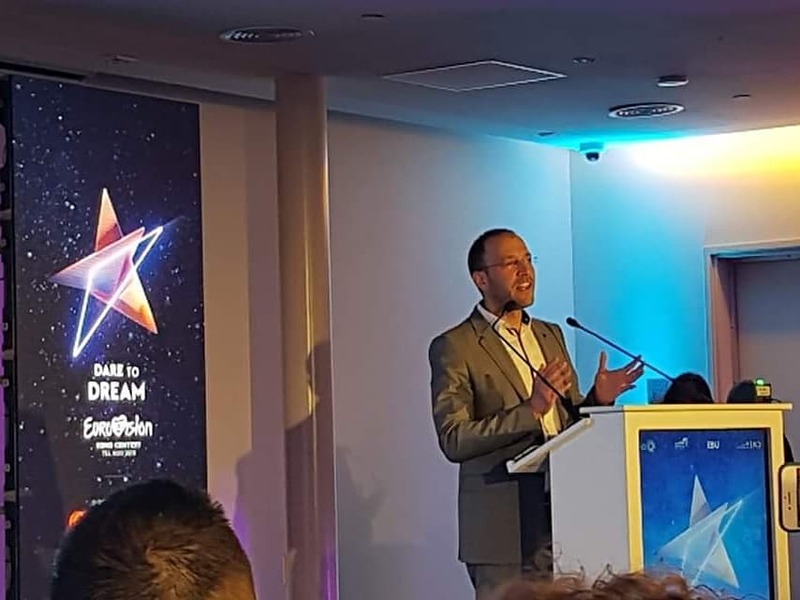 "We are pleased and proud to host the participants of Eurovision in Herzliya, we are hard working on creating special attractions and compatible schedule for them. 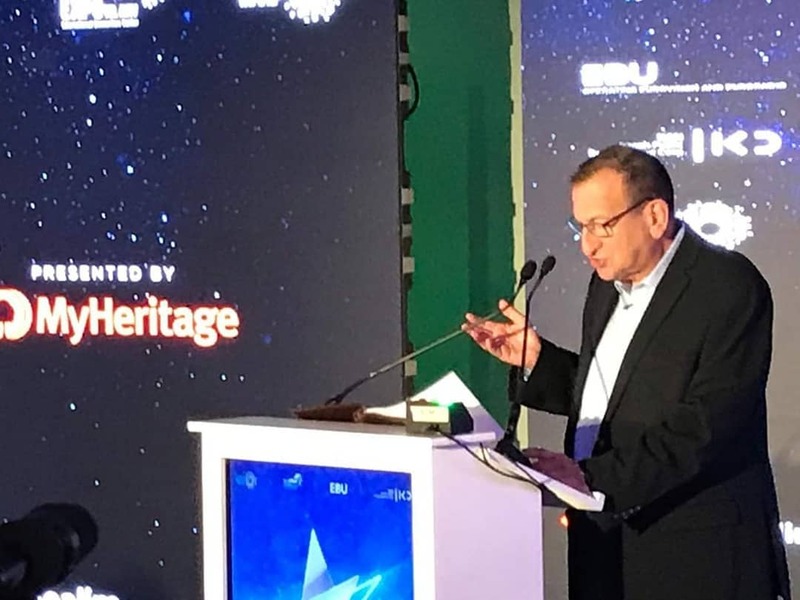 It's important for us to show the beauty of Herzliya in Israel and in the world," says Ofra Bell, deputy mayor and chairman of the tourism development company in Herzliya. 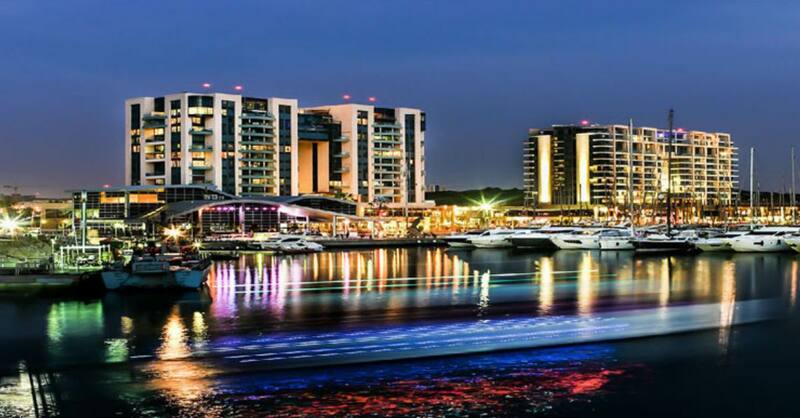 Herzliya Marina has acted as the venue for the Opening Ceremony and The Red Carpet of Israel Calling promotional event in previous years. 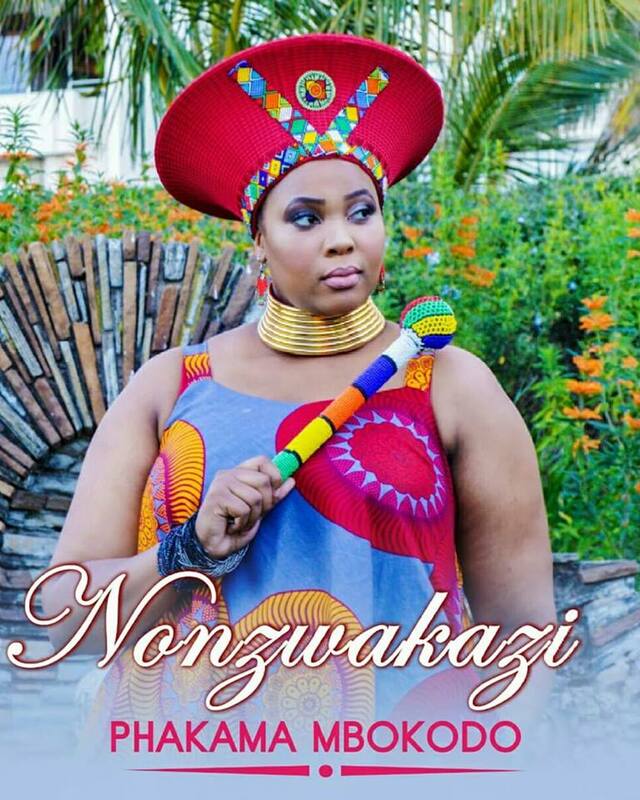 AfriMusic Song Contest has revealed winner of the 2019 edition of the contest: Nonzwakazi (South Africa) - "Phakama Mbokodo" Nonzwakazi was in the lead with an amazing total score of 10 points, which was made up of an 8-point rank by the public vote and a 12 point rank by the judges votes. In second place with a total of 7.5 points was Mozambiques Jay Arghh A.K.A. JR with his song Carlitos followed by Towela Kaira from Zambia with her song Gold with 7 points. Nonzwakazi (Siphokazi Maphumulo) is a South African Durban-based performing artist who does Afro-pop, soul & classical music. Coming from a classical, opera and choral music background, she is determined that her solo career will make her reach for the stars. Nonzwakazi completed her Honours Degree in Industrial Psychology at the University of KwaZulu Natal (Howard College Campus). She has done professional theatre productions, public and private performances and formal events with the famous KwaZulu Natal Philharmonic Orchestra (KZNPO). Nonzwakazi is popularly known as a member of the well-known Clermont Choir and has been a member for the past 8 years. Her charismatic performances with the choir have propelled her to grow as a solo artist. 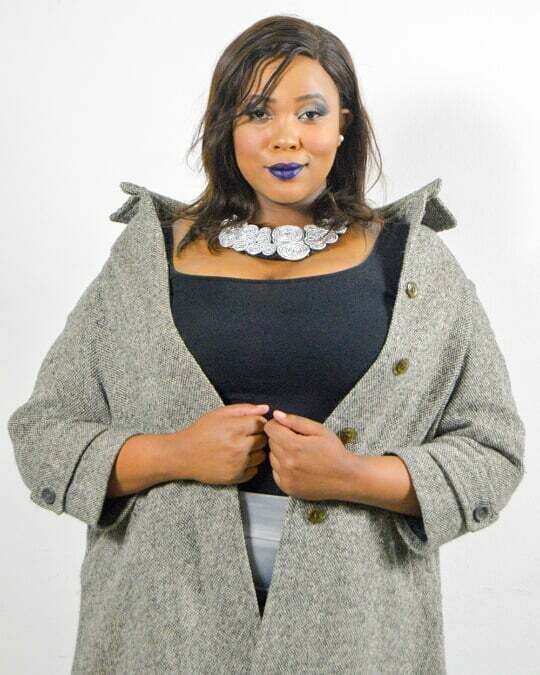 Nonzwakazi's winning song Phakama Mbokodo - her debut single - is a motivational song in Zulu and English languages, dedicated to all women; young and old. It talks about the challenges faced by women and how they always rise and fight whatever they face. Phakama Mbokodo means "Rise Woman" The term "mbokodo" - means rock - and that is taken from the phrase "You strike a woman, you strike a rock" - from the famous resistance song that have come to symbolise the courage and strength of South African women expressed at the Women's March of 1956 when they refused to give into increasing oppression of their rights. "I wanted to release songs that speak to every person’s identity and pride. When you listen to my singles, you will hear the African rhythmic patterns that I love so much. I am inspired by women empowerment and a love of culture and tradition. Phakama Mbokodo is an inspirational song that is dedicated to all the women all over the world. Women are so busy with powerful positions and being mothers and motivators." "We did it again, the second edition of the AfriMusic Song Contest has been successful and our winning song takes us to the next level. Two years in a row powerful female artists’ have taken the win. We had really good contenders again this year. The competition was tight and in our opinion, all 20 entrants were winners. Africa has an abundance of talent and the reason why we do what we do, is to take untapped talent and expose them to the rest of the world. Israel is very excited to host us at the Eurovillage for the Eurovision Song Contest, which takes place next month and the fans in Tel Aviv, will no doubt be amazed with how beautiful and talented Africa’s artists are. We are very excited to see how the rest of the world will react to Nonzwakazi. We cannot wait to share in her journey and then share it with the rest of Africa. We are here, we are strong, we are music… we are uniting Africa through song, building the bridge between Africa and the rest of the world! said Michelle Fernandes, Chief Executive Officer of the AfriMusic Song Contest. • Best English Lyrics won by siboat music of Ghana with "Always and Forever"
• Best French Lyrics won by Joahn Lover of Cameroon with "Game Over"
• Best Song in African language won by Nonzwakazi of South Africa with "Phakama Mbokodo"
• Most International Song (Song most likely to be covered in another language) won by songwriters Ylva Linda Persson of Sweden - "I Will Never Fight Again" performed by Linda Kilian of South Africa. "Congratulations Nonzwakazi, we are very proud of your achievements and we are excited to work with you. The AfriMusic Song Contest have been very busy with plans to grow our platform and provide something concrete for all of our contest artists. With South Africa having won this year, we will be working hard to introduce a live show to the contest and have a live South African National Selections show and live finals show. We hope that other countries like the Kingdom of eSwatini will follow suite and also host a live National Selections for all fans across the globe, following Symphony’s win in 2018. We open an invitation to all the tourism and arts and culture departments for each country in Africa to back their artists and get involved in the AfriMusic Song Contest. We are also very excited to make a new announcement this week, which will provide our artists with further opportunities to showcase their talent and artistry globally. I am currently in Coachella Palm Springs in California America, negotiating opportunities for our artists in the near future. We are very excited for the year ahead!" said Suzie Vicente, Chief Operations Officer of the AfriMusic Song Contest. 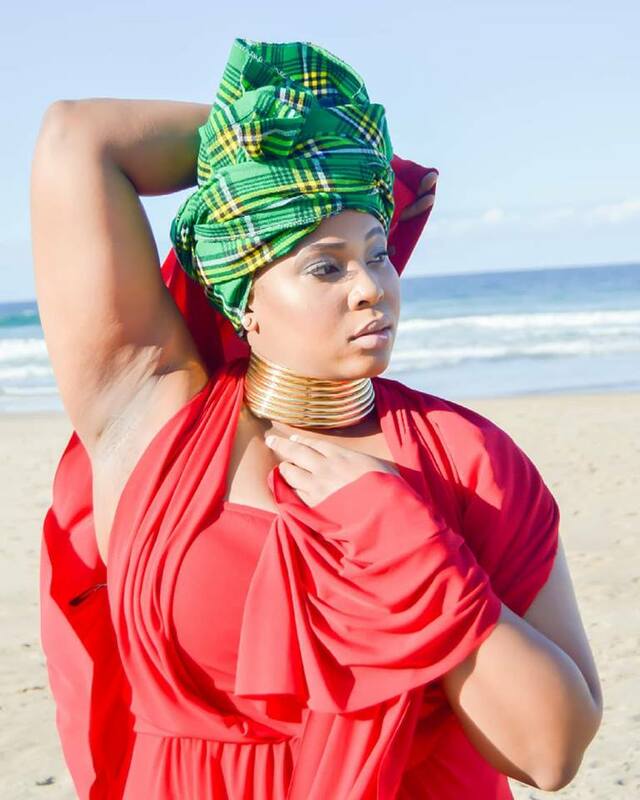 Nonzwakazi will be performing to a live audience at the Eurovision Song Contest’s Eurovillage in May 2019 and her performance will be broadcast live on Israel's broadcaster KAN. 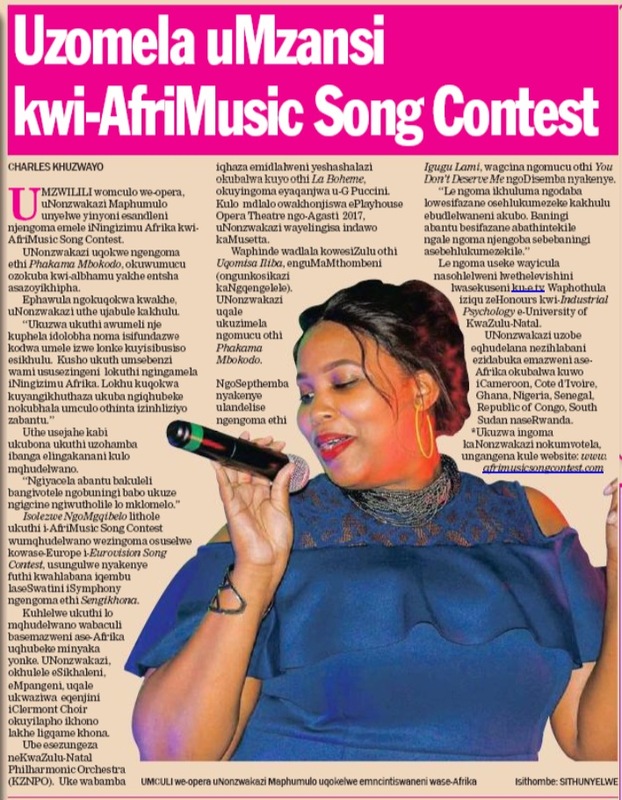 The AfriMusic Song Contest will post the video of her performance on their YouTube channel. More information of the performance date and time will be announced in due course. Follow Nonzwakazi's journey to the Eurovision Song Contest this May in Tel Aviv via the AfriMusic Song Contest Instagram and Facebook social media platforms. While installation of stands is currently in progress in the Arena, host broadcaster KAN has published simulation of the completed Arena. "The Grandstands in progress. The size of our pavilion is an advantage when it comes to the way the audience at the venue will watch the show. The view from the grandstands is amazing! The audience will feel as they ‘almost touch’ the stage. Makes me very exited to see the progress", says Executive Producer Zivit Davidovich. Tel-Aviv-Yafo municipality has released first sketch of the Eurovillage complex. Prove that you're a real Eurovision expert: KAN and EBU has launched official prediction game of the 2019 contest. Users need to predict top 10 songs and those who will be closest to the results will be announced during the event as "Eurovision Experts"
"As the host broadcasting organization, KAN Digital sees in the Eurovision Song Contest an excellent opportunity to launch innovative tools and features that will transform the Eurovision from a popular television show into an unprecedented digital experience," explains Elad Tene, vice president of the digital division. In the remaining month, users can change their predictions and share with the friends a video containing the songs chosen on the platform. All performances and interviews with the British party London Eurovision. Participants: Bilal Hassani (France); Carousel (Latvia); Darude feat. Sebastian Rejman (Finland); Duncan Laurence (Netherlands); Eliot (Belgium); John Lundvik (Sweden); Jonida Maliqi (Albania); Jurij Veklenko (Lithuania); KEiiNO (Norway); Lake Malawi (Czech Republic); Leonora (Denmark); Mahmood (Italy); Michael Rice (United Kingdom); Miki (Spain); PAENDA (Austria); Sarah McTernan (Ireland); Tulia (Poland); Victor Crone (Estonia). Special guests: Anna Bergendahl (Sweden 2010); Eye Cue (Macedonia 2018); Holly Tandy (UK Selection 2019); Magdalena Tul (Poland 2011); Nicki French (United Kingdom 2000); SuRie (UK 2018). Conchita will sing Heroes of Måns Zelmerlöw, Måns will come up with a medley with Eleni Foureira's entry, Eleni will sing Verka Serduchka's song from 2007 and Verka will sing Toy. The four of them will be joined by Gali Atari and perform Hallelujah together. Gal Gadot will participate in the Eurovision final in a special role. Idan Raichel will appear with 24 musicians in the final and will perform the song "Boee" joined by all 26 finalists. Shalva Band will appear in the second semi-final with the song "Million dreams". The musician and video artist Kutiman, who until six months ago had never seen the Eurovision Song Contest, has watched 63 broadcasts in recent months and created two 3-minute segments with new music to be broadcast in the two semis. Lior Suchard will be making appearances during all three show. KAN hopes to see Madonna performing in the final, there is a desire from both sides, the negotiations are in advanced stages. Two Madonna songs (a hit from the past and song from her new album) will cost $ 1.3 million, funded by billionaire Sylvan Adams. The broadcast in the country will start on 21:40 in Hebrew with Yardena Arazi, KAN 11 commentators of the show will be Sharon Teicher and Eran Zerachovitch. 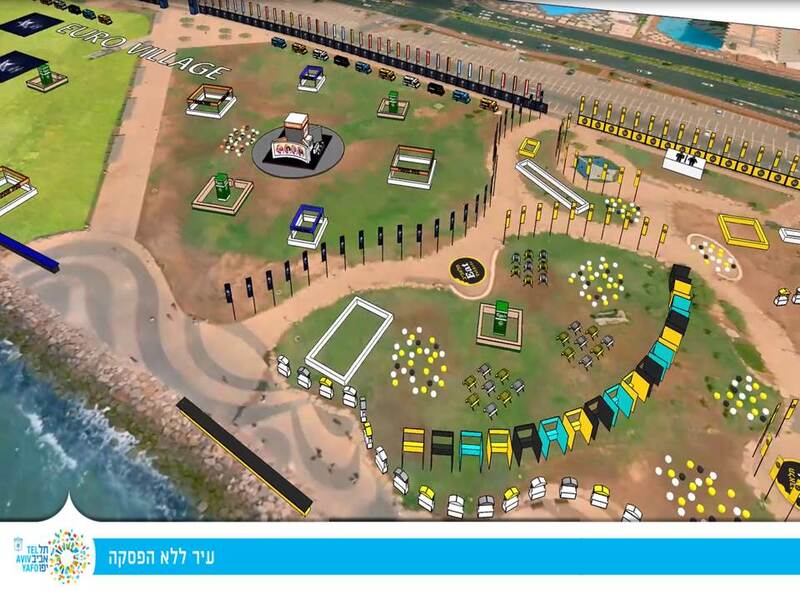 "I pledge that this will be the best Eurovision in history," said Eldad Koblenz, CEO of the broadcasting corporation KAN.
Tel Aviv Mayor Ron Huldai informed that tractors are working to level the Dolphinarium area in order to build the Eurovillage of the Eurovision Song Contest and that hundreds of thousands of flowers have been planted in the city. Huldai also said that various elements in Europe tried to sabotage the event in Tel Aviv-Jaffa, but to his delight they did not succeed. Charles Clore Park will be transformed into a huge area that will run from afternoon to 23:00 and will include performances by Israeli artists such as Static and Ben El, Shefita, Ivri Lider, Ethnix and of course the past stars of the competition, including Yizhar Cohen and Dana International. The semi-final and final performances will be screened on huge screens for the benefit of the tens of thousands of tourists and locals planned to arrive, as well as food complexes, tourist information centers and even a Hebrew word-learning studio. Alongside the village will be hel the Tel Aviv Food Festival, which will offer tastings from leading restaurants, 20 food stalls and 25 food trucks. 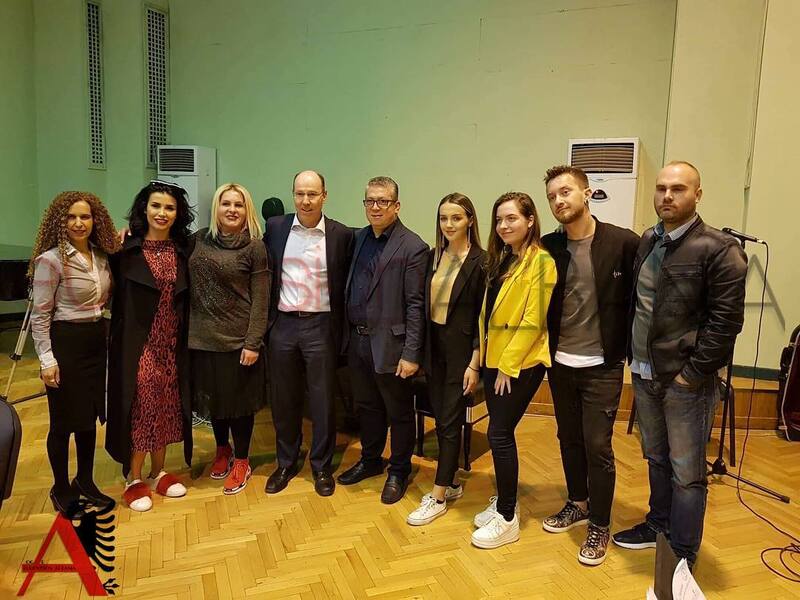 Zivit Davidovich, the main producer of the Eurovision Song Contest, said that the Eurovision Song Contest employs 1,600 people, including 500 volunteers. 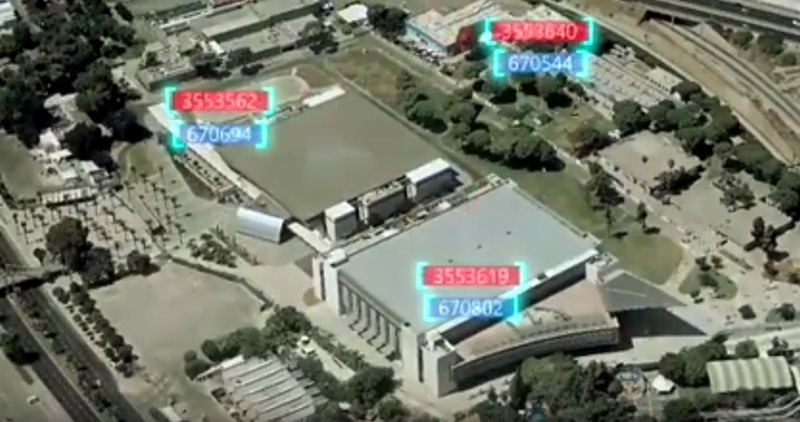 Approximately 230 truckloads of photocopiers, lighting, amplification and display screens are being delivered to the event; Tamir Dayan, CEO of the Tel Aviv Expo (Tel Aviv Fairgrounds) said that NIS 8 million was invested in the spaces and upgrading of the system. Complex has switched to cost-effective lighting, and will recycle waste and water. There will be tickets available at a special lower price, and on a first come first serve basis. This offer will be available for tickets to the dress rehearsals and will start at 200 Shekels, tickets to the live shows are priced at varying levels starting from 750 Shekels. Stage team of Sammarinese representative Serhat has been presented. German vocalists Chantal Hartmann, Inès Voha, Sebastián Millepied, Giulia Wahn and Swedish dancer and vocalist Johan D. Seil (Russia 2016 and Azerbaijan 2017) rehearse under the leadership of the Greek creavite director Nick Marianos and choreographer Kostas Pavlopoulos. Apparently, there were some changes in the team - Juan Miguel Olivier Geck, who had previously worked on the backing vocals, was replaced by Johan. Idan Raichel will be the only Israeli singer without prior Eurovision experience to make appearance during the final show of the Eurovision Song Contest 2019, reports Israel Hayom. He will perform song "Boee" - the first single he released in 2002. Rachel will lead the performance with his project members, the Alaev family and the Keshetim orchestra. At the same time, it is reported that musician Amir Alaev has withdrawn from the performance due to Shabbat. The Tel Aviv Municipality will operate on 17-18 May 50 buses for free transportation of Eurovision tourists. The buses will operate on Friday on incoming route from 18:00 and outgoing at 2 am, on Saturday - incoming at 11:00 and outgoing at 18:15 for the family show and incoming at 17:30 and outgoing at 01:30 for the Grand Final. According to the municipality's decision, the buses will operate on two lines. The Green Line will move in the center of the city, on the route that will begin at the Carmelit terminal - next to the Eurovillage complex, which will be built in the Charles Clore Park - will pass through Ibn Gabirol and reach Tel Aviv Expo. The Blue Line will travel along Ben Yehuda Street, parallel to the promenade. A volunteer will be stationed at each designated station, with a sign stating that this is a collection station for the Eurovision Song Contest. The information will also be published in the pocket brochure for tourists and on the municipality's tourist site. Back: Ben Yehuda / Yirmiyahu - Ben Yehuda / Sderot Nordau - Ben Yehuda / Jabotinsky - Ben Yehuda / Arlosorov - Ben Yehuda / Sderot Ben Gurion - Ben Yehuda / Gordon - Ben Yehuda / Frishman - Ben Yehuda / Bograshov - Ben Yehuda / Trumpeldor - Allenby / HaKovshim - HaKovshim / Carmelit Bus Terminal. Additional preparations for the Eurovision will include translation of the names of the 500 major bus stops with stickers into English for the city's guests, translation of the names of the stations on the electronic signs inside the buses, sign at the front of the buses and electronic boards on some stops; Printing a map of public transport as part of the pocketbook for a tourist to be distributed in tens of thousands of copies during the Eurovision period; Setting up an information center for tourists which will operate 24/7, in cooperation with the Ministry of Tourism and the Ministry of Transportation in the Arrivals Hall at Ben-Gurion Airport, and more. Concerned that the taxi drivers will take advantage of the innocence of tourists, the Tel Aviv municipality has issued a special sticker to be distributed to the taxi drivers who will follow the fair rates in relation to the kilometres travelled. Check the playlist of videos from Eurovision PreParty Riga with Keiino, Carousel, Monika Marija, Edgars Kreilis, Roberto Meloni, Anna Judelson. Ambra Succi’s creative skills have left the mark in various distinguished shows, including the Eurovision Song Contest itself, as Ambra was responsible for Loreen’s Euphoria winning performance way back in 2012. This performance is till this day seen as one of the best stage performances the Eurovision stage has ever seen. 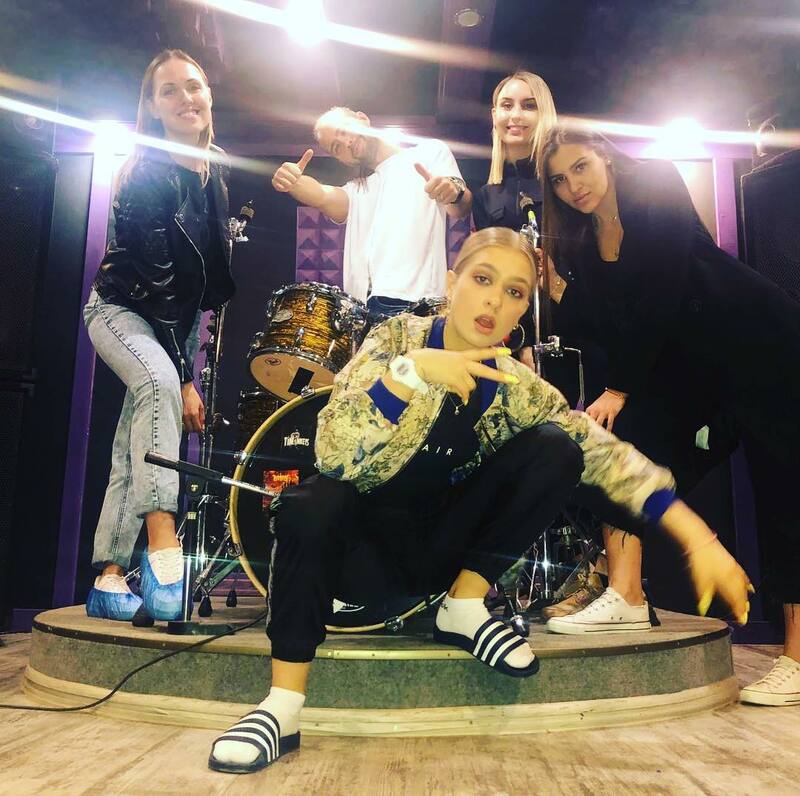 She also worked with Robin Stejnberg, Elnur Husseynov, Poli Genova and Jana Burceska. At the Eurovision Young Dancers 2017 she was member of the jury. 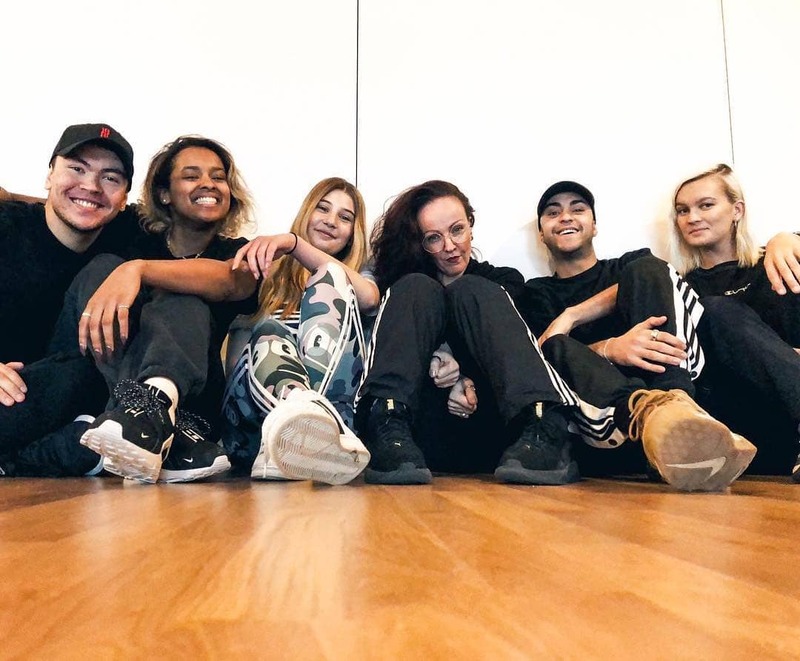 Other notable projects that Ambra has worked on revolved around choreography for Green Day’s Musical, the main choreography on X Factor Sweden and choreography for multiple acts on the world-renowned Melodifestivalen (Renaida, Barbi Escobar MF 2018, Mimi Oh 2012, Danny Saucedo, Dilba 2011). Ambra stated that Michela is a natural artist she can’t wait to deliver an experience to the TV audience as well as the live arena. Also working with Michela are dancers Albin Lindén (Renaida MF 2018), Nyat K Fredriksson, Amir Ashoor (Margaret, Vlad Reiser MF 2019, Renaida MF 2018), Amanda Arin. Chingiz and Mahmood meet up during Tel Aviv postcard shoot. 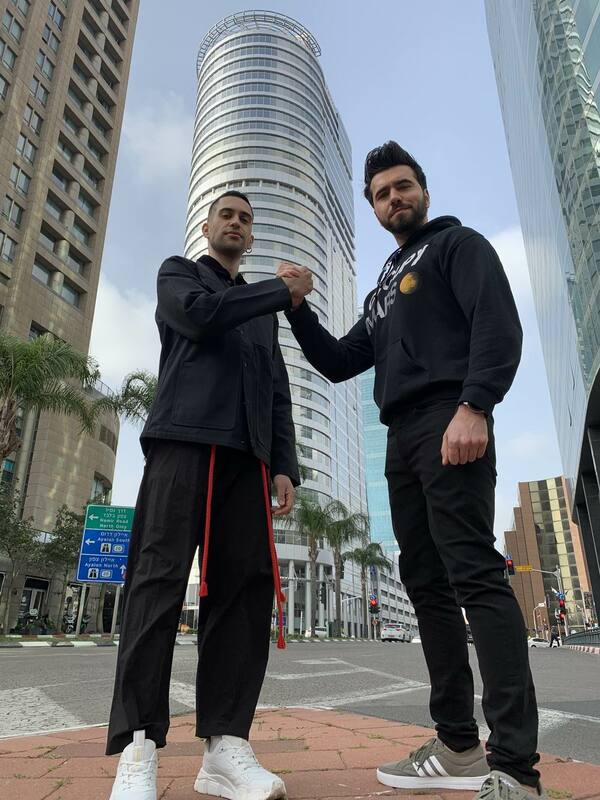 Azerbaijani singer Chingiz joined Italian performer Mahmood in Tel Aviv for some pre-Eurovision sightseeing. Both artists arrived in Israel to film their Eurovision 2019 postcards on the same dates and decided to break away from their busy schedules to explore a little bit of the sunny Israeli capital, as well as nearby Ramat Gan. The excitement came when Chingiz and Mahmood began discussing other Eurovision 2019 contestants. Within minutes, the two were covering each other's entry songs— Mahmood sang a little bit of “Truth”, the song that Chingiz will perform in next month’s contest. Not to be outdone, Chingiz offered his version of Mahmood’s song, "Soldi”, relying on his smartphone to help with the Italian lyrics. 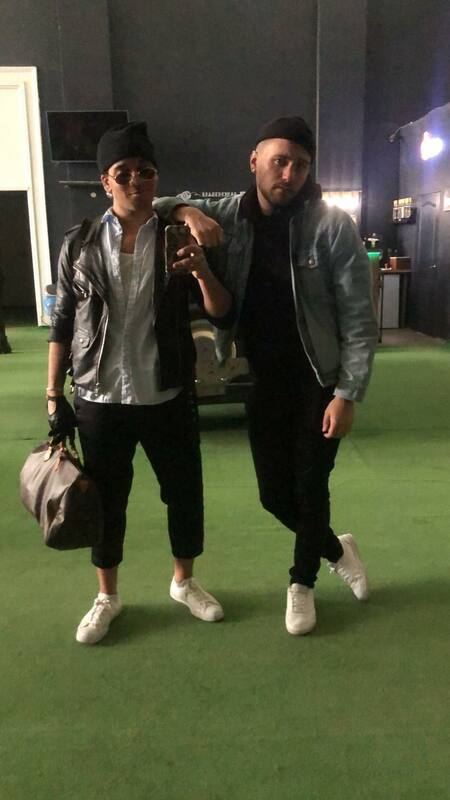 Before getting back to their intense schedules, Chingiz and Mahmood agreed to meet again in May between official rehearsals. OGAE Spain has revealed additional information concerning fan access to the Euroclub of the Eurovision Song Contest 2019. As we have published earler, the Euroclub will open its doors on May 11 and will be located in Hangar 11 club in the port of Tel Aviv. As usual, the accredited media and fans can access the venue with their accreditation. However, unlike Lisbon, the members of the different OGAE clubs will also be able to buy a weekly pass to the Euroclub. Israeli public broadcaster (KAN) has confirmed that at least 1,000 tickets will go on sale to access the Euroclub for the week of the festival. Tickets will be available to members of the different OGAE clubs and will cost ILS 500 (approximately € 125) for the 8 nights the venue will be open. Tickets will include access to "Orange Carpet" afterparty as well as the party after the Grand Final. 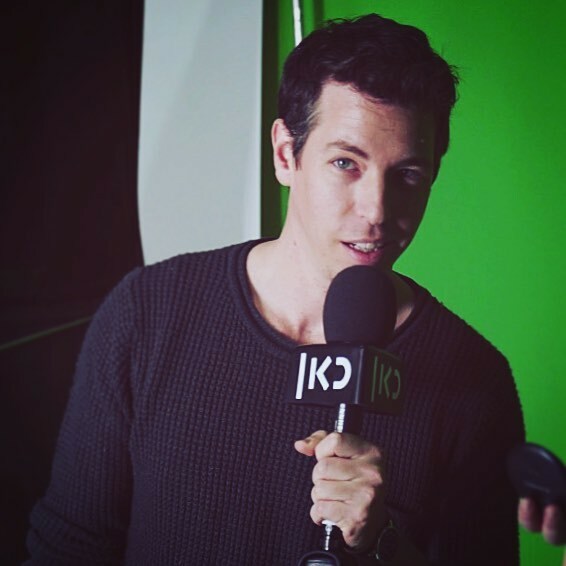 KAN is still working on Euroclub programming, although everything seems to indicate that both Eurovision 2019 artists and past acts will perform throughout the week, including several winners of the contest. The broadcaster expects to release further details next week when the tickets will also go on sale. So fans of the contest will have the opportunity to choose this year between two venues - Euroclub and Eurocafe to both of which weekly passes will be available for 500 ILS. Tickets to the latter are already available for purchase here. 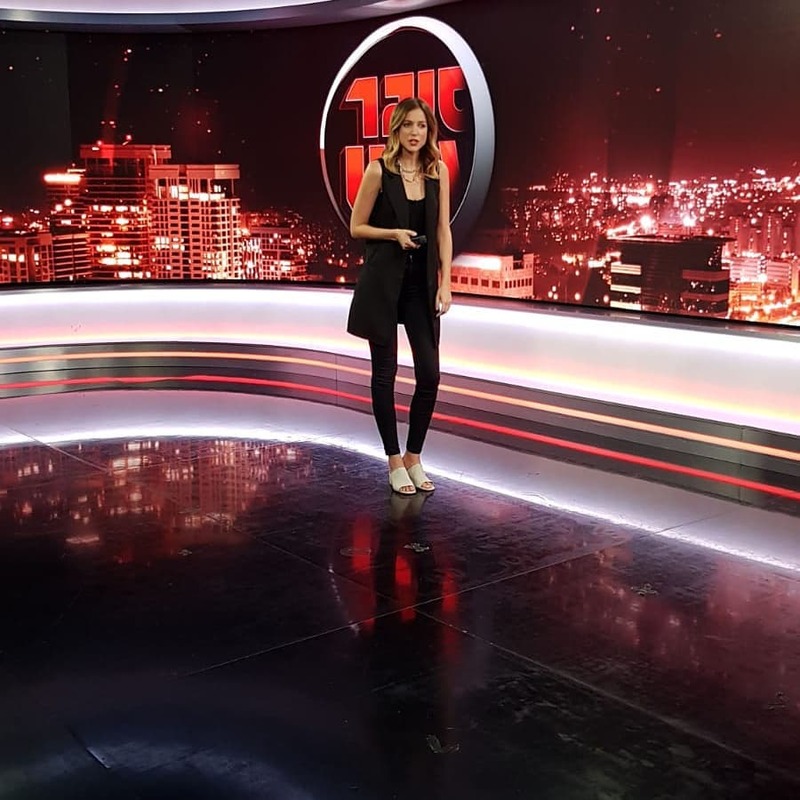 Listen to English version of "KAN Tel Aviv 2019" - daily Eurovision Magazine broadcast on Radio KAN 88, every evening in 18:45. In the first episode: Welcome to Tel Aviv: How is Tel Aviv getting ready for Eurovision, hear about a participant favored to win and what do journalists covering the event really think about the contest. Additionally, KAN is running 24/7 digital radio station "KAN Tel Aviv 2019" that broadcasts 24/7 pop music and Eurovision music of all time. По сообщению израильского новостного портала Israel Hayom, Сиван Аврахами и Надав Эмбон будут ведущими пресс-конференций "Евровидения-2019". 34-летняя Сиван Аврахами - известная телеведущая в Израиле. Она участвовала в 3-м сезоне израильской версии Big Brother. Сиван работала корреспондентом в Zinor Layla на 10 канале. Она также работала в нескольких телевизионных шоу на израильском телеканале Reshet 13. Она имеет образование в области неврологии и по сегодняшний день работает в ней. 34-летний Надав Эмбон, отец двоих детей, является одним из лидеров KAN Digital. Он ведущий, сценарист, главный директор и руководитель креативного отдела канала. Первоначально предполагалось, что 1000 билетов будут бесплатно распространены среди, в том числе 120 членов Кнессета, но это преимущество было в конечном итоге отнято у них. Dana International откроет финал Евровидения в Израиле. Она сделает это с песней "Тель-Авив" (более известной как "Тель-Авив, я Хабиби, Тель-Авив"), первоначально исполненной Омером Адамом, и с собственной "Дивой", которая выиграла Евровидение 1998. Ожидается, что финал Евровидения, который состоится 18 мая в Тель-Авив Экспо, начнется с церемонии приема делегаций, в ходе которой участники спустятся с самолета на конкурсную сцену. После приземления участники встретятся с послом Израиля Dana International. Она откроет выступление отрывком из песни "Тель-Авив, я хабиби, Тель-Авив", написанной автором Toy Дороном Медали, вместе с десятками израильских танцоров. Песня будет представлена ​​ею в "юмористическом жанре средиземноморья". Затем песня будет впервые смикширована с "Diva", написанной Йоавом Гинаем и Цвикой Пиком, в восточной адаптации. Позднее вечером, как ожидается, Дана еще раз примет участие в шоу, и появится вместе с британским комментатором Грэмом Нортоном. Дана также будет выступать и в полуфинале. Филипп Киркоров: "Мы не будем сегодня рассказывать детали о номере Сергея - наша задача удивить публику - потому его вы увидите только 16 мая". Екатерина Орлова: "Мы надеемся, что никто не сольет неофициально полную видеозапись номера с репетиций, сейчас это не разрешено". Филипп Киркоров: "Режиссер-постановщик номера Фокас Евагелинос уже находится в Тель-Авиве, поскольку декорации уже прибыли туда, он будет наблюдать за проведением репетиций дублеров. В Москве также присутствует аналогичная декорация номера и репетиции продолжаются. В отличие от второго участия Димы Билана, когда к нему присоединились звезды Евгений Плющенко и Эдвин Мартон - Сергей будет выступать на сцене один, но с песней, кардинально противоположной той, с которой он выступал в 2016 году, тогда он был с динамичным акробатическим номером - в этом году все будет совершенно по другому. Жюри всегда не очень благоволит шоу, они благоволят музыкантам, в этом году мы представим сугубо музыкально направленную вещь, мы представим музыку - и посмотрим, как теперь проголосуют те музыканты, кто не любит шоу". Филипп Киркоров: "Мы с Геннадием Борисовичем Гохштейном долгими зимними вечерами сидели и прослушивали множество потенциальных песен для Евровидения. В душе он очень музыкальный человек с большим вкусом и чувством. Мы перебрали много серьезного материала, который мы написали с Димитрисом - но его зацепила именно Scream, даже несмотря на то, что это не суперхит, не шлягер, не танцевальная музыка. Потом мы долго спорили, кто из нас покажет будущий Scream Сергею - в итоге это сделал я. С первого прослушивания его глаза загорелись, и мы поняли, что артист поверил с первой минуты и полюбил эту песню". Сергей Лазарев: "Когда я не верю, я не делаю. Если внутри у меня есть уверенность, только тогда я могу добиваться высоких результатов. Я впервые услышал песню в демо без слов, мы понимали, что сама музыка дает невероятный посыл, масштабные эмоции, это такой саундтрек". Филипп Киркоров: "Многие говорили, что это не формат Евровидения, это не хит, но что - у Лорди, которые победили - у них был хит? Побеждает всегда оригинальная песня, необычная. Ей не обязательно быть хитом, таких песен за историю Евровидения раз-два и обчелся. Побеждают странные песни, необычные". Сергей Лазарев: "Когда уже был написан текст - мы услышали Scream, мы понимали этот невероятный посыл эмоциональный, и эта эмоция будет и в номере, мы хотим передать эмоцию через экран зрителю". Филипп Киркоров: "Вокально эта песня для исполнения - это пытка. Когда мы выбирали тональность, Сергей настоял, чтобы она была максимально высокой. Но он справится, судя по всем репетициям". Сергей Лазарев: "Я конечно рискую, чувствую дополнительную ответственность. Но я был бы не я, если бы не принял предложение. Лучше сделать и пожалеть, чем пожалеть, что не сделал. Мы можем только надеяться на результат, но мы не знаем каким он будет. Наша задача - максимально достойно представить страну, чтобы страной гордились и пересматривали наше выступление". Сергей Лазарев: "Изначально я хотел в роли мальчика в клипе взять сына Никиту, но потом подумал, что скажут что это спекуляция, плюс он еще слишком маленький, выдержать процесс съемок - 20 часов были съемки. Клип получился необычный, но я не представляю модной картинки и графики на эту песню, которая сама по себе необычная. Было очень важно сделать две кардинально разные вещи: клип и сценическая презентация - они очень отличаются. Но подчеркнуть и не испортить песню, передать эмоцию в клипе". Филипп Киркоров: "Екатерина Орлова - наш ангел-хранитель, лучший глава делегации с которым я когда-либо работал, такого желания помогать, решать казалось бы нерешаемые проблемы я не видел ни у кого". Екатерина Орлова: "Уезжаем мы в Тель-Авив 4го мая. Каждый день какие-то мероприятия, репетиции, пресс-конференции, у Сергея все свободное время будет расписано на интервью с различной прессой, он также обязательно будет выступать в Евроклубе конкурса. Филипп и Сергей, кстати, будут жить в одном отеле с Мадонной - Филипп даже на одном этаже с ней". Сергей Лазарев: "Мадонна понимает, что ей нужно промоутировать альбом и Евровидение - это самое просматриваемое телешоу в Европе. Думаю, что для нее дело абсолютно не в деньгах, а в том, что это большая аудитория, большая площадка". Как было объявлено ранее, Евроклуб будет расположен в порту Тель-Авива в Hangar 11, самом большом многофункциональном клубном пространстве в Израиле. Hangar 11 находится всего в 2,5 км от места проведения конкурса, и удобно расположен между местом проведения и всеми пляжными отелями. Эти два участка примыкают к одной и той же дороге и соединены парком Хаяркон. Евроклуб будет открыт в течение 8 ночей с 11 по 18 мая и будет включать в себя специальные тематические вечеринки, удивительные живые выступления, показы полуфиналов и гранд-финала в прямом эфире и многое другое. Каждый вечер местные диджеи и диджеи со всей Европы будут играть легендарную музыку Евровидения. Победители Евровидения и известные артисты Евровидения из Европы и Израиля будут выступать вживую; Особые сюрпризы будут наполнять клуб атмосферой Евровидения. 11 мая в Евроклубе будет проходить Официальная вечеринка Северных стран: ди-джей будет играть скандинавскую музыку Евровидения всех времен, живые выступления артистов этого года из Дании, Эстонии, Финляндии, Исландии, Норвегии, Швеции и других. 18 мая в Евроклубе пройдет официальная вечеринка финала конкурса Евровидение 2019. С сегодняшнего дня все желающие могут приобрести браслет, который позволит посещать все дни Евроклуба (всего 8 дней) по цене 600 шекелей (150 евро). 1000 браслетов для членов ОГАЕ клубов доступны по цене со скидкой 500 шекелей. Их можно приобрести здесь. Как обычно, вход для аккредитованных лиц в Евроклуб будет бесплатным. Технический руководитель Евровидения-2019 Ола Мелциг дал обширное интервью изданию Israel Hayom. Он обещает грандиозное шоу, сцену, которая будет самой крутой за всю историю, впечатляющие мультимедиа и работу камер. "Для нас в Павильоне 2 есть очень большое преимущество. Это небольшая арена по сравнению с предыдущими Евровидениями, и, на уровне производства это огромное преимущество, потому что при всем уважении к тысячам зрителей, которые приезжают посмотреть шоу на месте, мы в первую очередь думаем о тех, кто будет смотреть его на экране телевизора. Когда арена меньше, легче контролировать то, что ты увидишь на экране, есть возможность охватить больше вещей, а арена большого размера обычно в конечном итоге приводит к менее успешной трансляции. Сцена будет выглядеть огромной на экране. Если телезрители позже придут на Арену, они будут разочарованы, обнаружив, что она намного меньше, чем она казалась на экране, это волшебство нашей профессии". Он также высоко оценивает выбор Тель-Авива в качестве принимающего города: "Это было отличное решение. Тель-Авив идеально подходит для всего, что нужно Евровидению, здесь есть стиль, яркие люди, пляж и непринужденная атмосфера". "Местная сторона всегда задает тон, и это совершенно ясно: Израиль принимает у себя Евровидение и тратит на него много денег, поэтому цель шведской команды - привнести международный опыт и оказать помощь израильтянам... Когда мы уйдем, знания останутся, и принимающая страна в конечном итоге получит выгоду от проведения самого конкурса. Я был во многих странах мира, и если у израильтян есть какая-то сильная сторона - то это гостеприимство, израильтяне действительно хорошие хозяева и очень заботятся о всех наших сотрудниках. Для вечеринок и мероприятий это замечательно. Израильтяне думают, что они знают, как управлять всем, и каждый израильтянин хочет выразить свое мнение, я думаю, что это очень мило, кажется, что средний израильтянин обладает огромной самооценкой, и это весьма привлекательно. С другой стороны, иногда мы сталкиваемся с необходимостью рассказать, как это нужно сделать. Нет сомнений в том, что иногда вещи занимают больше времени, потому что идут так называемые "израильские дискуссии". Я был свидетелем разговоров между израильтянами, которые доходили до высоких тонов, люди не злились, но они агрессивно говорили друг другу, а потом неожиданно соглашались, говорили "да, да" и продолжали обсуждение более мягко. Мы здесь для того, чтобы принять местную культуру и работать с местными жителями, в ваших условиях, поэтому мы не будем говорить вам, чтобы вы были другими, не такими как вы есть, потому что это будет странно для всех, но мы, шведы, замечаем, что дискуссии на иврите всегда будут громче и более напряженней, чем на английском". Мелциг спокоен о проблемах, с которыми сталкивается организация. "Мы строим что-то очень большое и очень сложное, чего раньше не было в Израиле, поэтому очевидно, что возникнут проблемы: один раз была забастовка полиции, один раз опоздал корабль. В таком большом и сложном мероприятии может произойти очень много всего. Мы создали очень гибкую организацию, поэтому, если мы не можем выполнять определенные задачи в данный момент, мы возьмемся за другие задачи. Сейчас я ни о чем не беспокоюсь, мы работаем по графику, и я с нетерпением жду начала репетиций, чтобы увидеть сцену на камерах и увидеть все о чем мы говорили, воплощающимся в жизнь". Мелциг пообещал, что организация извлекла уроки из прошлогодних случаев, когда какой-то чужой умудрялся проникнуть на сцену. "Мы повысили уровень безопасности, поэтому это не сможет повториться, и я даже не могу описать, насколько серьезными являются усилия, направленные на предотвращение подобных вещей. Я не помню ни одного Евровидения, в котором мы бы не использовали, несмотря на все приготовления, кадры с генеральной репетиции. Всегда есть сюрпризы, поэтому почти на каждом Евровидении я могу вспомнить, что было несколько минут, когда мы фактически транслировали запись. Это происходит, когда что-то идет не так, что-то случилось с камерой, с освещением и т. д." Говоря об общей безопасности в Тель-Авиве, он шутит: "Дни для организации начинаются рано утром и заканчиваются поздно вечером, поэтому ситуация с безопасностью нас совсем не беспокоит, нас беспокоит в основном состояние нашего желудка в конце каждого дня". Если возникнет серьезная проблема, в конечном итоге решения принимать будет ЕВС. Мелциг твердо говорит, что никогда ничего не изменит из-за негативных отзывов от фанатов в социальных сетях. "Соцсети превратили каждого фаната Евровидения в эксперта по производству Евровидения, но многие из них видят все это в черных и белых цветах, ненавидят или обожают, и если им что-то не нравится, то они будут сильно шуметь об этом. Я думаю, что это не имеет значения, и я бы не стал ничего менять в конкурсе только потому, что одному или другому фанату это не понравилось. Это израильское шоу, а не их, поэтому почему меня должно волновать, что норвежскому фанату что-то не нравится? Не поймите неправильно - у Евровидения самые преданные поклонники в мире, и я люблю их, но когда они начинают критиковать то, что мы делаем, на уровне сценических решений, камер или дизайна - на основе своего нулевого знания - я схожу с ума. В прошлом году, например, мы решили, что в шоу не будет видеостены, и фанаты очень грубо высказывались, почему мы убрали стену. Мы хотели больше сосредоточиться на артисте, сделать что-то, что не отвлекало бы внимание, мы спросили себя, нужно ли нам все это видео сзади, цветы и всякая чепуха, поэтому мы решили пойти по более упрощенной системе с другими ценностями. Как руководитель продакшена, я всегда думаю о том, как продвигаться вперед, как вносить изменения, изменения которые будут хороши в долгосрочной перспективе, даже если они выглядят плохо в данный момент"
В прошлом году Мелциг сделал ставку на Израиль и выиграл 500 евро. "Я ждал, пока Кипр обойдет Израиль в таблице ставок за несколько дней до финала, и только тогда я поставил деньги. В этом году я думаю, что у Швейцарии есть отличный шанс, у них хорошая песня и отличный исполнитель, поэтому я делаю ставку на них". Walla сообщает, что Мадонна появится на Евровидении с хитом из прошлого и песней из ее нового альбома, а информированные источники издания раскрыли, что первой станет "Like a Prayer", которой в прошлом месяце исполнилось тридцать лет с момента выпуска. Песня появилась на четвертом одноименном альбоме поп-дивы и считается одной из лучших и переломных в карьере Мадонны, которая усилила ее восприятие как артиста, а не просто поп-звезды. Пока не ясно, какая новая песня Мадонны будет исполнена на Евровидении - из ее 14-го альбома, который выйдет в июне и будет называться Madame X. Источники утверждают, что певица обсуждает исполнение песни "Future" (в альбом она звучит с участием американского рэпера Quavo) или "Dark Ballet". Последняя дебютировала под названием "A Beautiful Game" в попурри (которое также включало в себя "Like a Prayer", исполненном на Met Gala 8 мая 2018 года). Почти наверняка она не исполнит песню, которую выпустила в среду "Medellin", дуэтом с колумбийским исполнителем Maluma. Новый альбом будет вдохновлен духом португальской музыки фадо. Помимо Малумы и Куаво, певица в нем также будет сотрудничать с бразильской певицей Аниттой. Немецкие представительницы S!sters завершили съемки открытки в Израиле. Чтобы получше узнать страну пребывания, они пробыли в стране несколько дополнительных дней. Они посетили Яд Вашем, Мемориальный музей Холокоста в Иерусалиме, исследовали Яффу и попробовали кулинарное разнообразие Израиля. На сегодня съемка открытки для Германии окончена, в 18-градусной холодной воде - в Галилейском море. Кристоф Пелландер, глава делегации, говорит: "Мне очень понравились съемки открытки, и, по моему мнению, у Германии никогда не было более красивой открытки, чем в этом году". Незадолго до финала Евровидения туристы, прибывшие в Израиль, смогут испытать классический Каббалат Шаббат. Муниципалитет Тель-Авива призывает жителей Тель-Авива и его окрестностей открыть свои дома в пятницу и принять у себя туристов, которые приедут посмотреть песенный конкурс. Ужины будут проходить в пятницу, 17 мая 2019 года, вечером перед Евровидением. Регистрация будет осуществляться через платформу Eatwith. Участие туристов в проекте обойдется 50 шекелей (12 евро) с человека, которая будут служить своего рода гарантией серьезности намерений со стороны туриста. Оплата будет полностью переведена хозяевам. Каждый хозяин сможет пригласить до шести туристов. Проект, инициированный муниципалитетом, направлен на то, чтобы сблизить людей и соединить тысячи туристов с Израилем и жителями города. Ужин будет знакомить туристов с израильскими традициями, отраженными в различных домах, в каждом в соответствии со своими обычаями и убеждениями. Разумеется, хозяева будут готовить пищу по своему вкусу, но для того, чтобы создать ощущение единства им будет предложено включить халу и вино - типичные израильские блюда Шаббата. Рон Хулдаи, мэр Тель-Авива-Яффо, говорит: "Мы прилагаем все усилия, чтобы конкурс песни Евровидение был качественным и не менее важно для нас, чтобы наши жители насладились туристическим бумом в городе. Инициатива Каббалат Шаббат - это один из способов соединить тысячи туристов с семьями Тель-Авива и познакомить их с праздничной атмосферой кануна Шаббата в Израиле"
В проекте приняли участие не только мэр Хулдаи и его жена, но ряд знаменитостей уже зарегистрировались для приема туристов. Комик и актер Звика Хадар, автор песни Toy Дорон Медали, пианист Гил Шохат, актер Таль Мосери, журналист и телеведущая Хила Корах и шеф-повар Хаим Коэн. Приемы Шаббата в Израиле: 2-6 туристов смогут принять участие в ужинах в частных домах. Pride Каббалат Шаббат: члены гей-сообщества будут принимать туристов в своих домах. Общественные приемы Шаббата: в городе будет несколько мест, куда будут приглашены жители города и туристы, желающие принять участие в ужине. Для общего ужина каждый житель приготовит вкусное блюдо, а туристы присоединятся к праздничной атмосфере. На сцене Евровидения Йонида Маличи выступит с тремя бэк-вокалистами Венди Манцаку, Артемисой Мити и Тири Джоци. Венди успешно выступала на фестивале Kënga Magjike, где она выиграла приз Лучшему новому артисту. Артемиса дважды выступала на Festivali i Këngës - с E dua botën и дуэте с Феби Шкурти - Dua ta besoj. Она также была участницей "Голоса Албании". Тири записал две хита - Më zgjo и Orë e ndalur и также участвовал в "Голосе Албании". Австралийская телекомпания SBS раскрыла подробности запланированного освещения конкурса Евровидение-2019. 64-й конкурс песни Евровидение будет транслироваться в прямом эфире и в прайм-тайм эксклюзивно на SBS и SBS On Demand с 16 по 19 мая. С проведением федеральных выборов 18 мая австралийцы смогут в двойном объеме наблюдать за разворачивающейся драмой в один из самых интересных дней столетия. Кейт Миллер-Хайдки выйдет на сцену в полуфинале 1 со своей оперной поп-песней Zero Gravity. Кейт Миллер-Хайдки говорит: "Быть ​​избранной австралийской публикой представлять страну на Евровидении - такая честь. Это не такая ответственность, к которой можно отнестись спустя рукава. Люди доверяют мне, и я не могу дождаться, чтобы выложится на полную. Я всегда любила нестандартные выступления, и Zero Gravity будет именно такой. Это воодушевляющая, вдохновляющая песня о выходе из депрессии. Для меня это было чувством абсолютного восторга, и песня заканчивается действительно вдохновляющим моментом. Она была написана для исполнения вживую, и постановка не будет похожа ни на что из того, что я делала ранее". Музыкальный эксперт Миф Уорхерст и комик Джоэл Криси, будут у руля освещения Евровидения телеканалом SBS в прямом эфире из Тель-Авива в Израиле, чтобы познакомить австралийцев со всеми сторонами конкурса, исследуя суматоху, китч, политическое голосование, шоу-бизнес, культурные показы и сердце самого Евровидения - артистов и их песни. Миф Уорхерст говорит: "Кейт - поистине уникальная певица и автор песен, и ее выступление с Zero Gravity на Eurovision: Australia Decides было просто великолепно. Она прекрасно воплощает в себе основы Евровидения, и я знаю, что поклонники во всем мире будут обожать ее так же, как и мы. Хотя конкуренция жесткая, ее ничто не сможет остановить"
Джоэл Криси говорит: "В этом году мы передали власть австралийскому народу, и, к счастью, он не подвел. Молодцы, ребята. Мощный вокал Кейт и захватывающая постановка будут невероятными! Я не могу дождаться, чтобы Европа обняла нашу Кейт ... и я не могу дождаться, чтобы обнять Мадонну в своих сладких объятиях. Zero Gravity к победе!" Редактор SBS Джош Мартин говорит: "Для австралийских выборов - это самые главные выходные десятилетия. Люди могут наблюдать за подведением итогов голосования вместе с демократичным шведским столом в европейском стиле, одновременно наблюдая за крупнейшим музыкальным шоу на Земле. Независимо от того, за кого вы будете голосовать в следующем месяце, все австралийцы могут объединиться вокруг нашей собственной Кейт Миллер-Хайдки, ведь, в конечном счете, основная цель Евровидения: объединять людей". Директор Blink TV и глава австралийской делегации на конкурсе Пол Кларк говорит: "Евровидение-2019 станет одним из лучших. Мы недавно встретились с продюсерами в Тель-Авиве, и их идеи для мероприятия действительно сделают его глобальной сенсацией. Я не могу дождаться момента, когда фанаты увидят реализацию этих планов. Мы получили одобрение на нашу концепцию постановки номера Кейт Миллер-Хайдки, и мы приготовили несколько больших сюрпризов. Она будет сильно отличаться от номера на Eurovision: Australia Decides. На сцене Экспо в Тель-Авиве выступление Кейт станет поистине эпическим и чарующим. В первом полуфинале много замечательных артистов и песен, но мы намерены выделиться"
Железный купол - Израильская мобильная всепогодная система противовоздушной обороны, предназначенная для защиты от неуправляемых тактических ракет, будет расширена для конкурса песни Евровидение. Вчера неназванные активисты Газы опубликовали видео, в котором угрожали помешать проведению конкурса в Тель-Авиве. Армия Обороны Израиля в ответ дала указание развернуть в центре страны более крупные ракетные батареи "Железный купол", которые смогли бы среагировать на любые попытки террористических организаций сорвать проведение мероприятия. Видеоролик, распространяемый в палестинских социальных сетях прозрачно намекает на то, что палестинцы готовы напасть на Израиль и на конкурс, если их требования не будут выполнены. Выложенное видео начинается с изображений Евровидения и фразы: "Вы приглашены на большое мероприятие", написанной на иврите и арабском языке. "Но…" Музыка и видео сменяют тон и звучит предупреждение: "Не празднуйте и не танцуйте, когда страдают два миллиона жителей Газы. Если вы хотите отпраздновать, снимите блокаду осаду и выполните соглашение, не отступайте от него". Видео увеличивает масштаб и показывает арену проведения Евровидения с высоты птичьего полета. После наведения на цель, звучит противоракетная сирена. Звук взрыва можно услышать, когда на экране появляются слова "Проявите понимание, чтобы вы смогли проводить торжества". Евровидение в этом году совпадает с проведением Дня Накбы 15 мая - днем памяти перемещенных палестинцев в результате арабо-израильской войны. Vodafone Malta объявил о специальной акции для жителей острова Гозо в честь участия Микелы Пач на Евровидении 2019. Новые клиенты, которые подключат себе мобильный пакет услуг от Vodafone с 7 по 13 мая 2019 года могут получить до 500 евро ваучерами. Приз подсчитывается следующим образом: для планов RED: 100 евро в случае если Микела Пач выйдет в финал конкурса, 500 евро в случае ее победы на конкурсе, для обычных планов приз составит 25 и 100 евро соответственно. KAN выпустил видео, демонстрирующее отрывки посткардов Евровидения 2019. В посткардах показаны Иерусалим, Хайфа, Эйлат, Акко, Мицпе-Рамон и город-организатор Тель-Авив. Вы можете увидеть стены Иерусалима, стадион Сэмми Офера в Хайфе, отели Эйлата, музей Тель-Авива, порт Акко и другие впечатляющие места в Израиле. Концепция открыток этого года - "Танцующий Израиль". Все артисты должны были попрактиковаться в танцевальных движениях до приезда в Израиль. Потом они несколько часов тренировались в студии с хореографами Евровидения, среди которых был и Оз Мораг. Герцлия станет единственным городом, кроме Тель-Авива, где будут размещены официальные делегации Евровидения. Муниципалитет Герцлии работает над специальным мероприятием в честь делегаций, которые остановятся в шести официальных отелях конкурса в Герцлии. Считается, что благодаря этому Герцлия, которая признана одним из ведущих туристических городов Израиля, получит широкую известность как в национальных, так и в зарубежных СМИ. "Мы рады и гордимся тем, что принимаем участников Евровидения в Герцлии, мы усердно работаем над созданием для них специальных мероприятий и подходящего графика. Для нас важно показать красоту Герцлии в Израиле и в мире", - говорит Офра Белл, заместитель мэра и председатель компании развития туризма в Герцлии. Марина Герцлии выступала в качестве места проведения церемонии открытия и красной дорожки промо-мероприятия "Israel Calling" в предыдущие годы. Конкурс песни AfriMusic выявил победителя 2019 года: Nonzwakazi (Южная Африка) c песней "Phakama Mbokodo". Nonzwakazi одержала победу со средней оценкой в 10 баллов, которая была составлен из 8-балльной оценки в голосовании публики и максимальных 12 баллов от жюри. На втором месте с общей суммой в 7,5 баллов оказался представитель Мозамбика Jay Arghh A.K.A. JR с его песней Carlitos, а третьей стала Towela Kaira из Замбии с ее песней Gold с 7 баллами. Nonzwakazi (Сифокази Мафумуло) - южноафриканская певица из Дурбана, исполняющая афро-поп, соул и классическую музыку. Имея классическую оперную и хоровую музыкальную основу, теперь она намерена добиться успеха в сольной карьере. Нонзвакази получила диплом с отличием в области промышленной психологии в Университете Квазулу Натал (кампус Говард колледж). Она принимала участие в профессиональных театральных постановках, публичных и частных выступлениях и официальных мероприятиях вместе со знаменитым филармоническим оркестром провинции Квазулу-Натал (KZNPO). Nonzwakazi широко известна как участница знаменитого хора Clermont, где она поет в течение последних 8 лет. Ее харизматические выступления с хором привели ее к росту в качестве сольной исполнительницы. Песня-победительница Phakama Mbokodo - дебютный сингл Нонзвакази - это мотивирующая песня на зулу и английском языках, посвященная всем женщинам; молодым и пожилым. В нем рассказывается о проблемах, с которыми сталкиваются женщины, и о том, как они всегда поднимаются и противостоят им. Phakama Mbokodo означает "Вставайте, женщины". Термин "Mbokodo" - означает скалу - это взято из фразы "Когда ты бьешь женщину, ты бьешь скалу" - из знаменитой песни сопротивления, которая стала символом мужества и силы южноафриканских женщин, которые выразили свой протест на Женском марше 1956 года против все большего угнетения своих прав. "Я хотела выпускать песни, которые говорят об индивидуальности и гордости каждого человека. Когда вы слушаете мои синглы, вы услышите африканские ритмические модели, которые я так люблю. Меня вдохновляют расширение прав и возможностей женщин и любовь к национальной культуре и традициям. Phakama Mbokodo - это вдохновляющая песня, которая посвящена всем женщинам во всем мире. Женщинам, занимающим лидирующие позиции, я являющимся матерями и мотиваторами". "Мы сделали это снова, второй выпуск конкурса песни AfriMusic прошел успешно, и наша песня-победитель выводит нас на новый уровень. Два года подряд влиятельные женщины-исполнительницы одерживают победу. У нас были действительно хорошие артисты в этом году. Конкуренция была жесткой, и, по нашему мнению, все 20 финалистов были победителями. Африка обладает изобилием талантов, и причина, по которой мы занимаемся конкурсом, заключается в цели показать талант африканских артистов остальному миру. Израиль будет рад принять нас на Евродеревне Евровидения, которое состоится в следующем месяце, и поклонники конкурса в Тель-Авиве, несомненно, будут удивлены тем, насколько красивы и талантливы африканские артисты. Мы ждем возможности увидеть, как остальной мир отреагирует на Nonzwakazi. Мы не можем дождаться, чтобы принять участие в ее путешествии, а затем поделиться им с остальной частью Африки. Мы здесь, мы сильны, мы музыкальны - и мы объединяем Африку через песни, строим мост между Африкой и остальным миром! ", - говорит Мишель Фернандес, генеральный директор конкурса песен AfriMusic. Победитель конкурса был определен голосованием публики и жюри. • Самая международная песня (песня, которая может быть выпущена на другом языке) - авторы песни Илва и Линда Перссон из Швеции - I Will Never Fight Again - в исполнении Линды Килиан (Южная Африка). "Поздравляем Nonzwakazi, мы очень гордимся твоими достижениями, и мы рады работать с тобой. Конкурс песни AfriMusic усиленно работает над планами по расширению нашей платформы и предоставлению конкретных преимуществ для наших конкурсантов. С победой Южной Африки в этом году мы будем усердно работать над тем, чтобы представить телевизионные шоу - финал конкурса - и национальный отбор Южной Африки. Мы надеемся, что и другие страны, например победитель первого конкурса - Эсватини - также проведет живое отборочное шоу. Мы направляем приглашения для всех министерств туризма, искусства и культуры каждой страны Африки поддержать своих артистов и принять участие в конкурсе песни AfriMusic. Мы также будем рады сделать на этой неделе новое объявление, которое предоставит нашим артистам дополнительные возможности для демонстрации их таланта и мастерства во всем мире. В настоящее время я нахожусь в Coachella Palm Springs в Калифорнии, США, где веду переговоры о возможностях для наших артистов в ближайшем будущем. Мы с нетерпением ждем предстоящего года! ", - говорит Сьюзи Висенте, исполнительный директор конкурса песни AfriMusic. Нонзвакази выступит перед живой аудиторией в Евродеревне Евровидения в мае 2019 года, и ее выступление будет транслироваться в прямом эфире израильской телекомпании KAN. Конкурс песни AfriMusic опубликует видео ее выступления на своем канале YouTube. Более подробная информация о дате и времени выступления будет объявлена ​​позднее. Следите за поездкой Nonzwakazi на Конкурс песни Евровидение в мае этого года в Тель-Авив через каналы AfriMusic в социальных сетях Facebook и Instagram. "Работа над трибунами в процессе. Размер нашего павильона является преимуществом, когда речь заходит о том, как зрители на месте будут видеть шоу. Вид с трибун потрясающий! Аудитория почувствует, что они "почти касаются" сцены. Я очень рада видеть прогресс", говорит продюсер конкурса Зивит Давидович. Муниципалитет Тель-Авива опубликовал первые планы Евродеревни конкурса. Рон Хулдаи, мэр Тель-Авива-Яффо: "Евровидение - это возможность для невероятной глобальной демонстрации города. Через месяц Тель-Авив примет тысячи туристов, тысячу пятьсот журналистов, и его увидят десятки миллионов телезрителей. Нетта, в своей недавней песне говорила о двух настроениях: BASSA и SABABA: плохое настроение и хорошее настроение. В отличие от песни, у Тель-Авива только одно настроение. Мы обещаем, что кто бы ни приехал в Тель-Авив в мае, будет испытывать одно: САБАБА, САБАБА и многое много САБАБА". Изюминкой событий Евровидения в Тель-Авиве станет самая большая Евродеревня за всю историю конкурса с видом на средиземноморское побережье в парке Чарльза Клора. Деревня Евровидения будет открыта для публики с 12 по 18 мая с полудня до вечера и в ней будут выступать известные израильские артисты, таких как Static и Ben El, Стефан Легар, и суперзвезды Евровидения, такие как Dana International и Изхар Коэн. Кроме того, полуфиналы и финал будут проецироваться на гигантские экраны, и посетители смогут насладиться морским бризом, сидя в гигантском баре с видом на море, в окружении замечательных световых композиций, созданных официальным партнером по освещению OSRAM. Ежегодный фестиваль еды Tel Aviv Eat будет проходить рядом с Евродеревней (12-18 мая) в отдельном прилегающем комплексе. Посетители смогут отведать самые вкусные блюда от знаменитых поваров Тель-Авива. Участвующие рестораны включают Manta Ray, Onza, Messa, The Blue Rooster и многие другие. Белая ночь в Тель-Авиве пройдет 16 мая, в ночь 2-го полуфинала. Во время Белой ночи, когда солнце садится, жителям города и туристам предлагается пройтись по многочисленным событиям и выставкам, проходящим по всему городу - от официальной Деревни Евровидения до культурных центров, музеев, баров, открытых пространств, пляжей и многого другого. До тех пор, пока над Белым городом не встанет и не засветит солнце. Белая ночь в Тель-Авиве является одним из крупнейших событий года, и неделя Евровидения - идеальное время для этого праздника. Мероприятия и представления открыты для публики, большинство из них бесплатны. Докажите, что вы настоящий эксперт по Евровидению: KAN и ЕВС запустили официальную игру по прогнозированию итогов конкурса 2019 года. Пользователи должны предсказать 10 лучших песен, и те, кто будет ближе всего к настоящим результатам, будут объявлены во время шоу как "Эксперты Евровидения"
"Как принимающая вещательная организация, KAN Digital видит в конкурсе песни Евровидение отличную возможность для запуска инновационных инструментов и функций, которые превратят Евровидение из популярного телевизионного шоу в беспрецедентный цифровой опыт", - объясняет Элад Тене, заместитель директора отдела цифрового вещания. За оставшийся месяц пользователи могут изменять свои прогнозы и делиться с друзьями видео, содержащим рекап песен, выбранных ими на платформе. Все выступления и интервью с британской вечеринки London Eurovision. Участники: Bilal Hassani (Франция); Carousel (Латвия); Darude feat. Sebastian Rejman (Финляндия); Duncan Laurence (Нидерланды); Eliot (Бельгия); John Lundvik (Швеция); Jonida Maliqi (Албания); Jurij Veklenko (Литва); KEiiNO (Норвегия); Lake Malawi (Чехия); Leonora (Дания); Mahmood (Италия); Michael Rice (Великобритания); Miki (Испания); PAENDA (Австрия); Sarah McTernan (Ирландия); Tulia (Польша); Victor Crone (Эстония). Специальные гости: Anna Bergendahl (Швеция 2010); Eye Cue (Македония 2018); Holly Tandy (Отбор Великобритании 2019); Magdalena Tul (Польша 2011); Nicki French (Великобритания 2000); SuRie (Великобритания 2018). Нетта выступит в первом полуфинале с новой версией Toy и в финале с новой песней, которая выйдет в конце этого месяца. Dana International выступит в одном из полуфиналов и в финале с мощной песней. Кончита споет Heroes Монса Зелмерлёва, Монс продолжит попурри с песней Элени Фурейры, Элени споет песню Верки Сердючки с 2007 года, а Верка споет Toy. К четырем артистам присоединится Гали Атари и они вместе исполнят Hallilujah. Изхар Коэн объявит баллы голосования израильского жюри. Гал Гадот примет участие в финале Евровидения в особой роли. Идан Райхель появится с 24 музыкантами в финале и исполнит песню "Boee", к которой присоединятся все 26 финалистов. Группа Shalva выступит во втором полуфинале с песней "Million Dreams". Музыкант и видеограф Кутиман, который еще шесть месяцев назад никогда не смотрел Евровидение, просмотрел 63 конкурса за последние месяцы и создал два 3-минутных сегмента с новой музыкой, которые будут транслироваться в двух полуфиналах. Лиор Сушард появится во всех трех шоу. КАН надеется, что Мадонна выступит в финале, есть желание с обеих сторон, переговоры находятся на продвинутой стадии. Две песни Мадонны (хит из прошлого и песня из ее нового альбома) обойдутся в 1,3 миллиона долларов, финансируемые миллиардером Сильваном Адамсом. Трансляция в стране начнется в 21:40 на иврите с Ярденой Арази, комментаторами шоу KAN 11 будут Шарон Тейхер и Эран Зерахович. "Я обещаю, что это будет лучшее Евровидение в истории", - сказал Эльдад Кобленц, генеральный директор вещательной корпорации KAN.
Мэр Тель-Авива Рон Хулдаи сообщил, что тракторы работают над тем, чтобы выровнять район дельфинария, чтобы построить Евродеревню конкурса Евровидение, и что в городе были посажены сотни тысяч цветов. Хулдаи также рассказал, что различные элементы в Европе пытались саботировать мероприятие в Тель-Авиве, но, к его радости, им это не удалось. Парк Чарльза Клора будет превращен в огромную территорию, которая будет работать с полудня до 23:00 и будет включать в себя выступления израильских артистов, таких как Static и Ben El, Shefita, Ivri Lider, Ethnix и, конечно, прошлых звезд конкурса, в том числе Изхара Коэна и Даны Интернешнл. Полуфинальные и финальные выступления будут показаны на огромных экранах, также там разместятся пищевые комплексы, туристические информационные центры и даже студия изучения иврита. Рядом с деревней будет проводиться фестиваль Еды - блюда из лучших ресторанов, 20 продуктовых ларьков и 25 машин. Мероприятия Белой ночи в Тель-Авиве состоятся вечером второго полуфинала, в четверг, 16 мая. Ди-джеи и электронные артисты со всей Европы соберутся на площади Кедумим, в порту Яффо будет открыта греческая таверна, на восходе солнца пройдет концерт на пляже, также будет проведено много других интересных мероприятий. Зивит Давидович, главный продюсер Конкурса Песни Евровидение, рассказала, что над ним работают работают 1600 человек, включая 500 волонтеров. Приблизительно 230 грузовиков с фотокопировальными устройствами, осветительными приборами, экранами усиления и видеоэкранами будут доставлены на мероприятие; Тамир Даян, генеральный директор Тель-Авив Экспо, сказал, что 8 миллионов шекелей было инвестировано в пространство и модернизацию систем центра. Центр перешел на энергоэффективное освещение и будет перерабатывать мусор и воду. Европейский Вещательный Союз и его израильский член KAN рады сообщить, что оставшиеся билеты на Евровидение 2019 поступят в продажу завтра, во вторник, 16 апреля, в 18:00 Москвы. Все оставшиеся билеты поступят в продажу через официальную билетную компанию Leaan. Билеты будут доступны по специальной более низкой цене и в порядке живой очереди. Это предложение будет доступно для билетов на генеральные репетиции и будет стоить 200 шекелей, билеты на живые концерты будут продаваться в разных ценовых категориях, начиная с 750 шекелей. В Киеве начались репетиции номера представителя Азербайджана Чингиза Мустафаева. В его сценическую команду вошли: шведы Sara Lauinger (Молдова 2018), Patrik Jean Olsson, Cedrik Hammar и датчанка Pernille Leeloo. С ними работает педагог по вокалу Алекс Панайи. Представлена сценическая команда участника от Сан-Марино Серхата. Под руководством греческого постановщика Ника Марианоса и хореографа Костаса Павлопулоса репетируют немецкие вокалисты Chantal Hartmann, Inès Voha, Sebastián Millepied, Giulia Wahn, а также шведский танцор и вокалист Johan D. Seil (Россия 2016 и Азербайджан 2017). По всей видимости, в команде произошли некоторые изменения - ранее работавший на бэк-вокале Juan Miguel Olivier Geck был заменен на Йохана. Идан Райхель станет единственным израильским певцом, не имеющим опыта участия в Евровидении, который выступит во время финального шоу Евровидения-2019, сообщает Israel Hayom. Он исполнит песню "Boee" - первый сингл, выпущенный им в 2002 году. Райхель выйдет на сцену вместе с участниками своего проекта, семьей Алаев и оркестром Кешетим. Одновременно с этим сообщается, что музыкант Амир Алаев отказался от участия в выступлении из-за шаббата. Муниципалитет Тель-Авива запустит 17-18 мая 50 автобусов для бесплатной перевозки гостей Евровидения. Автобусы будут работать в пятницу на входящем маршруте с 18:00 и исходящем с 2 часов ночи, в субботу - входящем с 11:00 и исходящем с 18:15 для семейного шоу и входящем с 17:30 и исходящем с 01:30 для Финала. Согласно решению муниципалитета, автобусы будут работать на двух линиях. Зеленая линия будет проходить центре города, по маршруту, который начнется на автобусном терминале Carmelit - рядом с Евродеревней, которая будет построена в парке Чарльза Клора, - пройдет по улице Ибн Габироль и достигнет Tel Aviv Expo. Синяя линия пройдет вдоль улицы Бен-Иегуда, параллельно набережной. На каждой станции будут размещены волонтеры с табличками, указывающими, что это станция сбора для Евровидение. Информация также будет опубликована в карманном проспекте для туристов и на туристическом сайте муниципалитета. Обратно: Ben Yehuda / Yirmiyahu - Ben Yehuda / Sderot Nordau - Ben Yehuda / Jabotinsky - Ben Yehuda / Arlosorov - Ben Yehuda / Sderot Ben Gurion - Ben Yehuda / Gordon - Ben Yehuda / Frishman - Ben Yehuda / Bograshov - Ben Yehuda / Trumpeldor - Allenby / HaKovshim - HaKovshim / Carmelit Bus Terminal. Муниципалитет Тель-Авива ожидал, что решение будет принято на национальном уровне через Министерство транспорта, но после того, как этого не произошло, руководство города решило решать проблему самостоятельно. "Тот факт, что это Шаббат, вызвал много трудностей с Министерством транспорта", - сказал представитель муниципалитета. "По нашему мнению, решение должно было быть на национальном уровне, но поскольку конкурс уже на пороге, и мы не можем больше ждать, мы решили сами создать программу шаттлов, у нас не было другого выбора". Стоимость транспортного проекта, который будет финансироваться муниципалитетом Тель-Авива, составляет 600 000 шекелей. Дополнительная подготовка к Евровидению будет включать перевод названий 500 основных автобусных остановок при помощи наклеек на английский язык, перевод названий остановок на электронных табло внутри автобусов, табличек на передней части автобусов и электронных табло на некоторых остановках; Печать карты общественного транспорта как часть памятки для туриста, которая будет распространяться десятками тысяч экземпляров в период Евровидения; Создание информационного центра для туристов, который будет работать круглосуточно, в сотрудничестве с Министерством туризма и Министерством транспорта в зале прибытия в аэропорту Бен-Гурион, и многое другое. Обеспокоенный тем, что таксисты воспользуются незнанием туристов, муниципалитет Тель-Авива выпустит специальную наклейку, которая будет распространяться среди таксистов, которые будут соблюдать справедливые тарифы в соотношении километража. С полным ходом подготовки как организаторов, так и делегаций к конкурсу песни Евровидение в этом году, мальтийская делегация сегодня объявила о том, что хореограф мирового уровня и креативный директор Амбра Суччи будут отвечать за сценический образ мальтийской представительницы этого года Микелы Пач, работая вместе с отмеченной многими наградами украинской студией Front Pictures, известной своим видео дизайном, графикой и сценическими визуальными эффектами. Песня, которая была недавно выпущена на всех цифровых порталах, была написана группой Symphonix, чьи композиции неоднократно входили в число лидеров в прошлые годы. Мальта всегда серьезно относилась к участию в Евровидении, но в этом году PBS решила попробовать другой подход. Впервые победитель X Factor Malta поедет на Евровидение. Первое прослушивание 18-летней Микелы собрало около 6 миллионов просмотров на платформе X Factor Global. Невероятные отзывы о ее мощном и естественном голосе были действительно оправданы, и она в конечном итоге была коронована как первый победитель X Factor на Мальте. Нет сомнений, что Микела может отлично петь вживую и демонстрировать фантастический вокал, как это было видно на X Factor, но никто не ожидал, что она исполнит на конкурсе такую песню, как 'Chameleon', которая поставила Микелу на достойное место в ранге букмекеров и стала вторым по популярности видео на официальном Youtube канале. Впервые Мальта не демонстрирует свой номер на предварительных вечеринках Евровидения, но теперь, когда объявлена сценическая команда певицы - стало понятно, что это определенно не является совпадением. Творческие способности Амбры Суччи оставили свой след в различных выдающихся шоу, включая само Евровидение, так как Амбра была ответственна за победное выступление Лорен с Euphoria еще в 2012 году. Это выступление до сих пор считается одним из лучших сценических выступлений на Евровидении. Она также работала с Робином Шернбергом, Эльнуром Гусейновым, Поли Геновой и Яной Бурческой. На Евровидении для Молодых Танцоров 2017 она была членом жюри. Другие известные проекты, над которыми Амбра работала - Green Day's Musical, X Factor Sweden, работа с многочисленными номерами на шведском Melodifestivalen (например Renaida, Barbi Escobar MF 2018, Mimi Oh 2012, Danny Saucedo, Dilba 2011). Амбра говорит, что Микела - прирожденная артистка, и она не может дождаться, чтобы показать номер зрителям шоу. 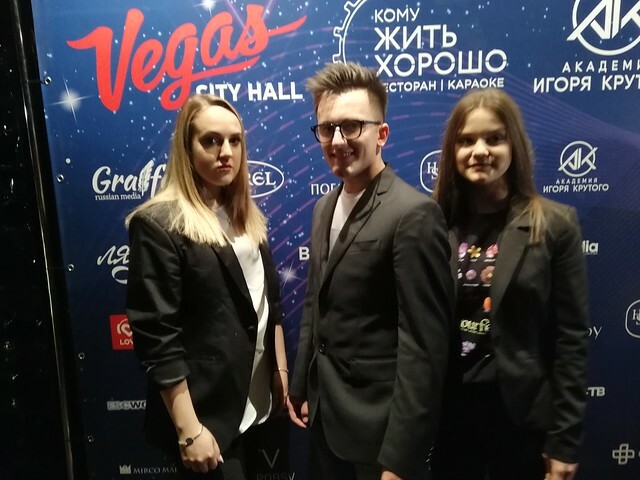 С Микелой также работают танцоры Albin Lindén (Renaida MF 2018), Nyat K Fredriksson, Amir Ashoor (Margaret, Vlad Reiser MF 2019, Renaida MF 2018), Amanda Arin. Также получившие звание победителей Евровидения, компания Front Pictures, создавшая и курировавшая от концепции до стадии реализации визуальный номер Джамалы на Евровидении 2016 года, будет отвечать за сценическую графику и визуальные эффекты номера Микелы. Недавно Front Pictures создали потрясающие визуальные эффекты для популярной песни Pink 'Try' на Brit Awards 2019. До этого они оказали огромное глобальное влияние благодаря своему инновационному выступлению в America Got Talent. Представитель Front Pictures заявляет, что этот проект является особенным для них, поскольку он возвращает компанию на сцену Евровидения, и они намерены создать еще один замечательный сценический номер. Азербайджанский певец Чингиз присоединился к итальянскому исполнителю Махмуду в Тель-Авиве на несколько экскурсий перед Евровидением. Оба артиста приехали в Израиль в одно время, чтобы снять свои посткарды, и решили оторваться от своего плотного графика, чтобы исследовать солнечную израильскую столицу, а также близлежащий Рамат-Ган. Чингиз и Махмуд с интересом обсудили других конкурсантов Евровидения 2019. Через несколько минут они уже пели песни друг друга - Махмуд спел немного "Truth" - песни, которую Чингиз исполнит на конкурсе в следующем месяце. Чтобы не отстать, Чингиз предложил свою версию песни Махмуда "Soldi", изучив итальянский текст в своем смартфоне. Прежде чем вернуться к напряженному графику подготовки, Чингиз и Махмуд договорились встретиться снова в мае в период между официальными репетициями. Стала известна дополнительная информация о доступе фанатов к Евроклубу Евровидения-2019. Как мы уже сообщали ранее, Евроклуб раскроет свои двери 11 мая и будет расположен в клубе Hangar 11 в порту Тель-Авива. Как обычно, аккредитованные СМИ и фанаты смогут получить доступ к нему по аккредитационным бейджам. Однако, в отличие от Лиссабона, члены различных ОГАЕ клубов также смогут купить недельный пропуск в Евроклуб. Израильский общественный вещатель KAN подтвердил, что в продажу поступит не менее 1000 билетов, дающих возможность допуска в клуб на неделю конкурса. Билеты будут доступны для членов различных клубов и будут стоить 500 ILS (около 125 евро) за 8 ночей, в течение которых клуб будет функционировать. Билеты будут включать в себя так посещение Afterparty после красной ковровой дорожки, а также вечеринку после финала. KAN все еще работает над программой Евроклуба, хотя, похоже, все указывает на то, что в нем будут выступать как артисты Евровидения 2019, так и участники прошлых лет, включая нескольких победителей конкурса. Телекомпания рассчитывает опубликовать дополнительную информацию на следующей неделе, когда билеты также поступят в продажу. Таким образом, у поклонников конкурса будет возможность выбрать в этом году одно из двух мест - Евроклуб и Еврокафе, на оба из которых будут доступны еженедельные пропуска по 125 евро. Билеты в Еврокафе уже поступили в продажу по ссылке. Израильский вещатель KAN запустил подкаст "KAN Евровидение Тель-Авив" - ежедневный журнал, посвященный конкурсу Евровидение - на русском языке. В первом выпуске вы можете узнать как Тель-Авив готовится к Евровидению, познакомимся с главным претендентом на победу, а также узнать, что на самом деле думают журналисты, освещающие Евровидение 2019. Помимо того, запущена круглосуточная интернет радиостанция "KAN Tel Aviv 2019", которая будет вещать хиты Евровидения и песни Европейских стран.